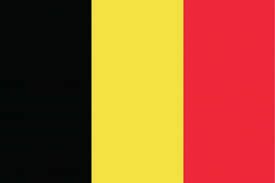 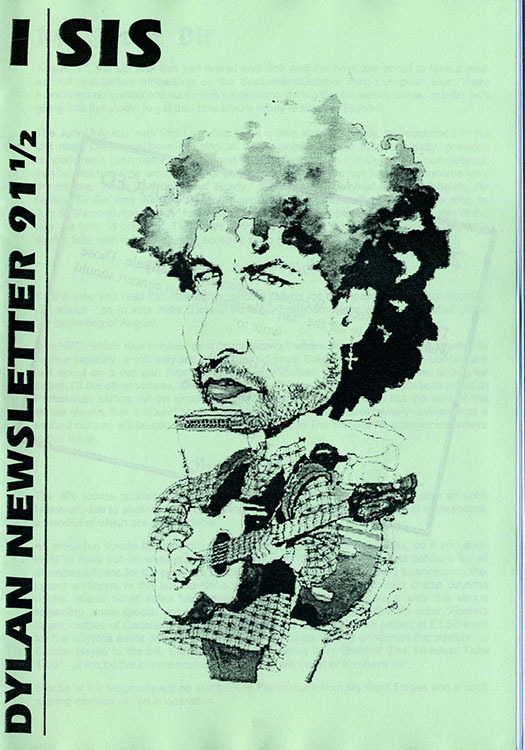 ISIS DYLAN NEWSLETTER then DYLAN IN BETWEEN, UK. 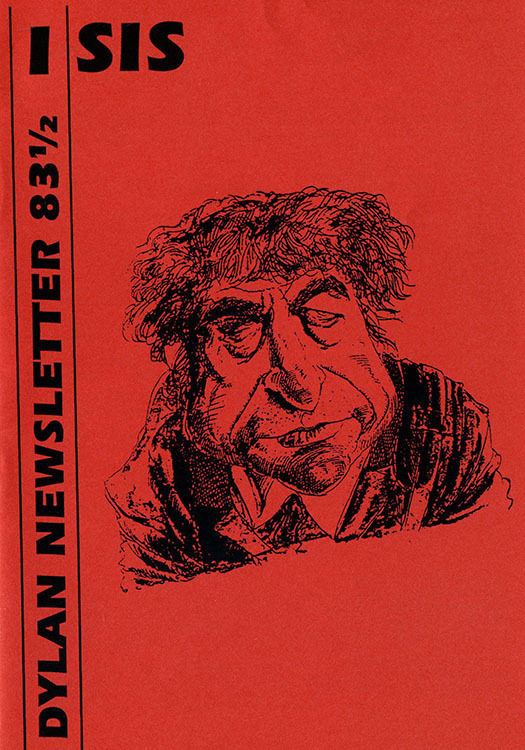 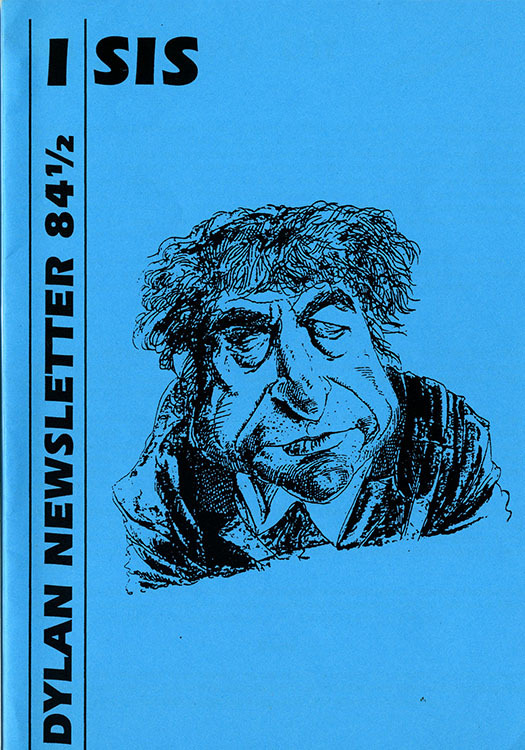 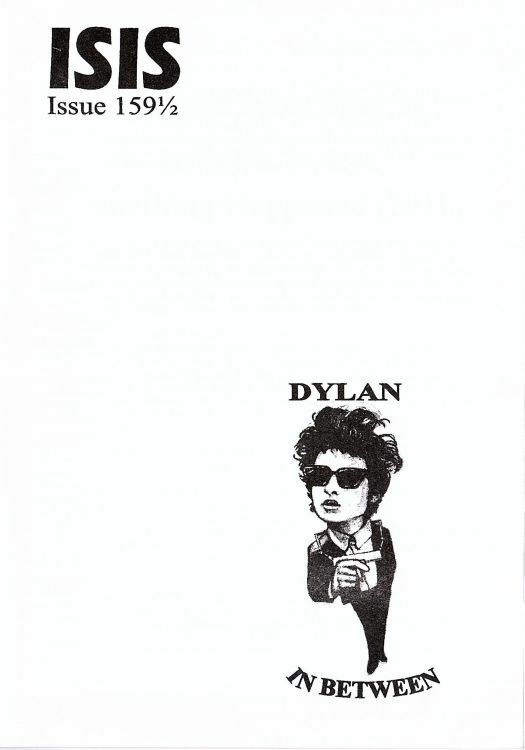 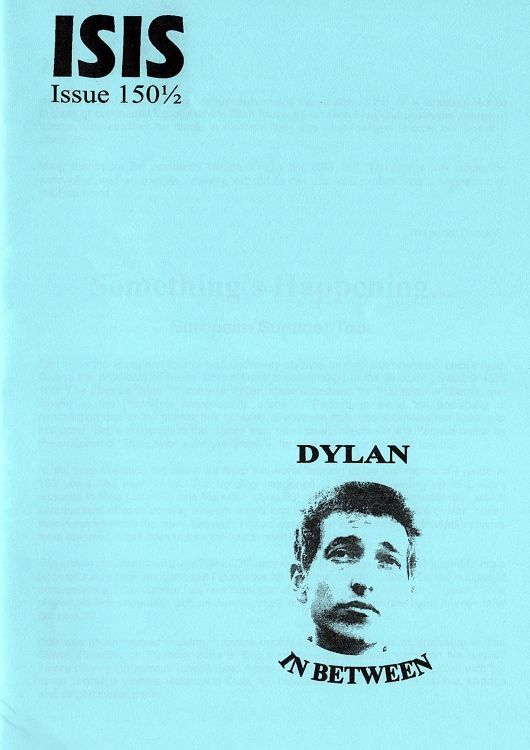 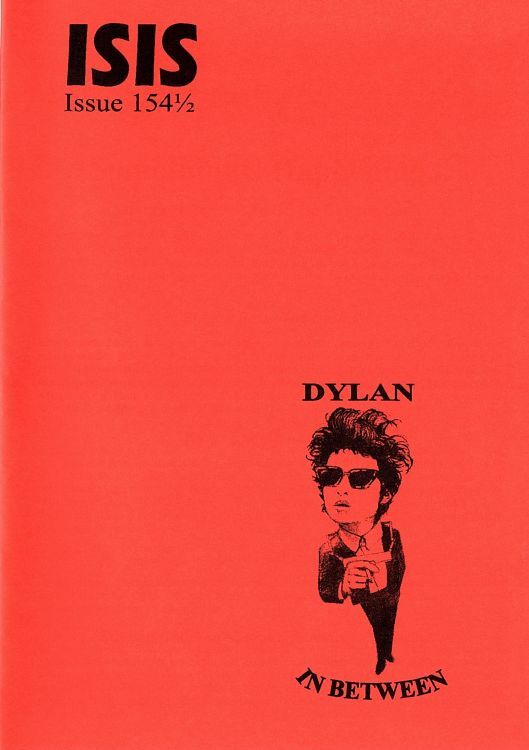 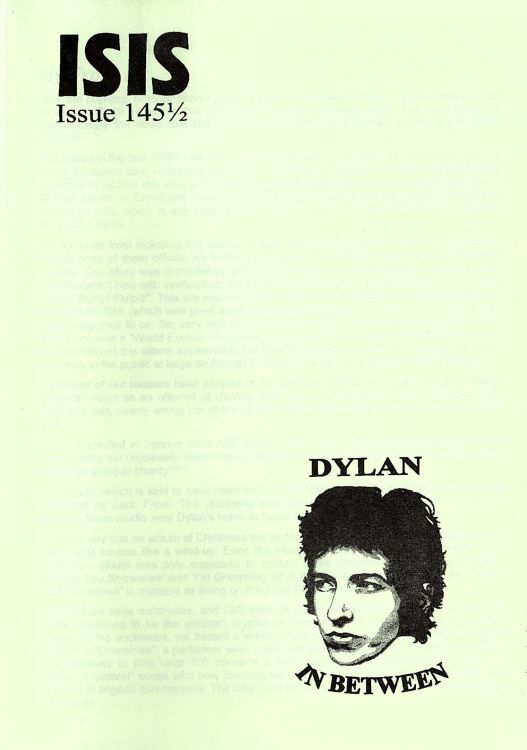 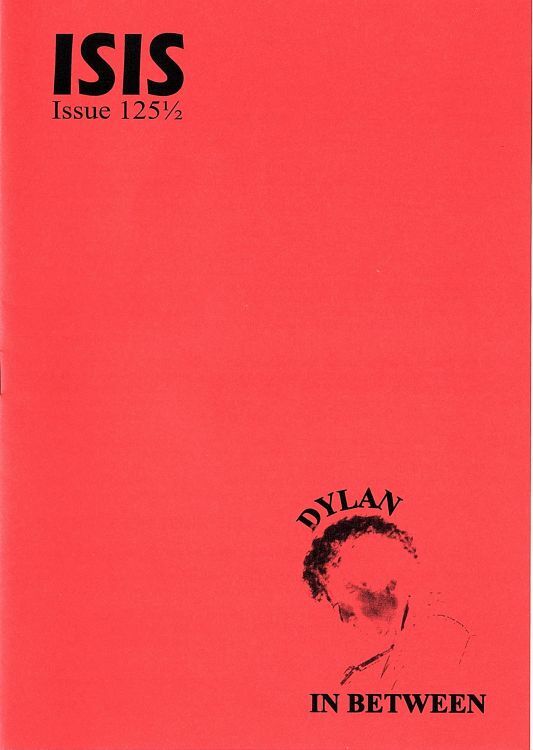 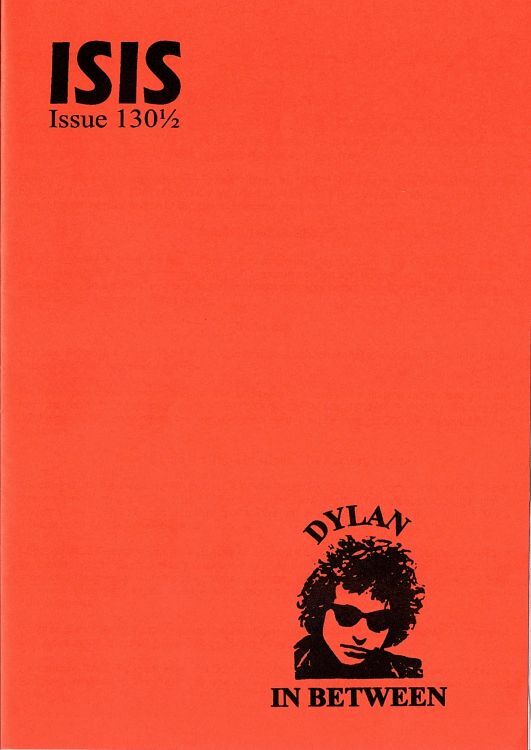 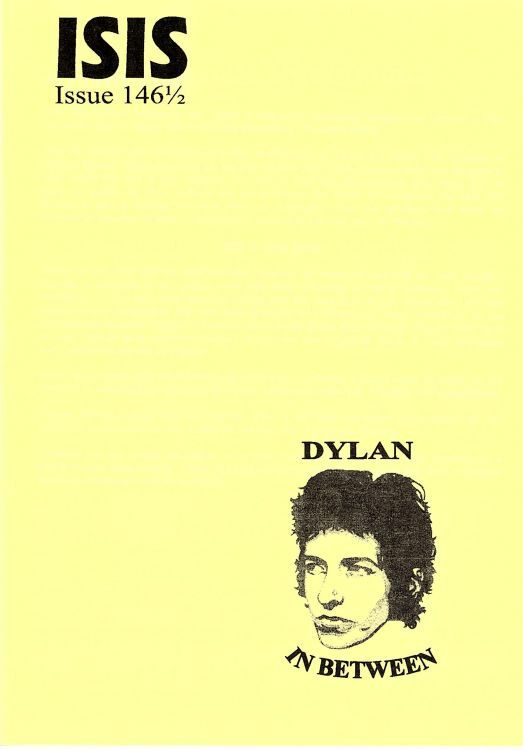 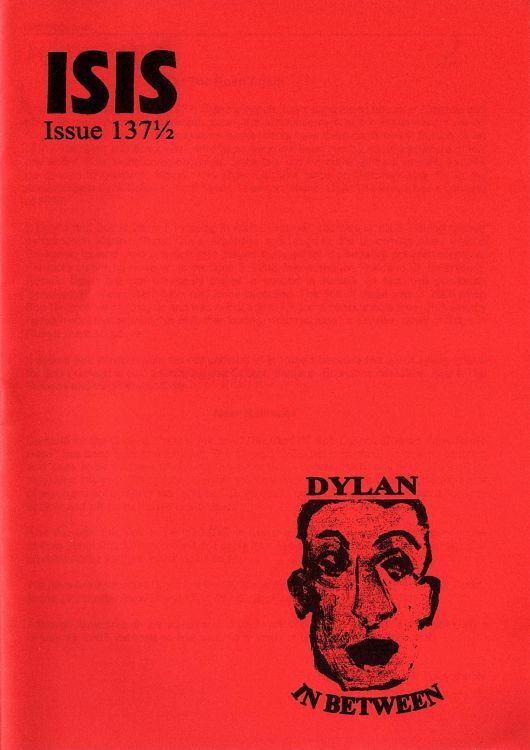 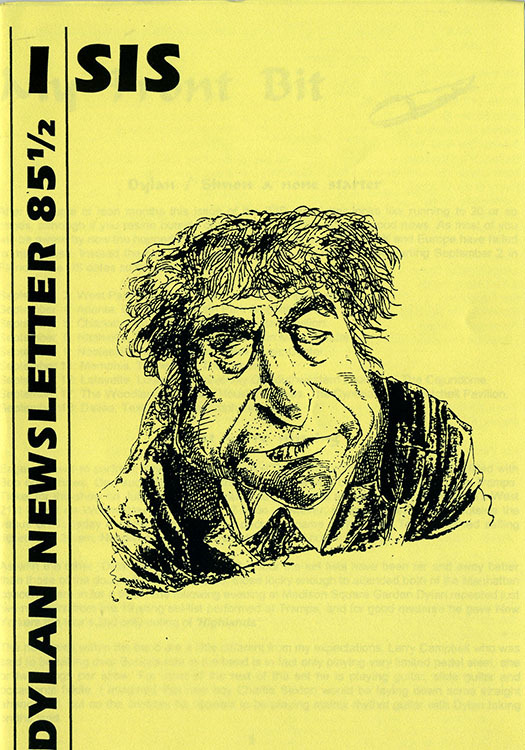 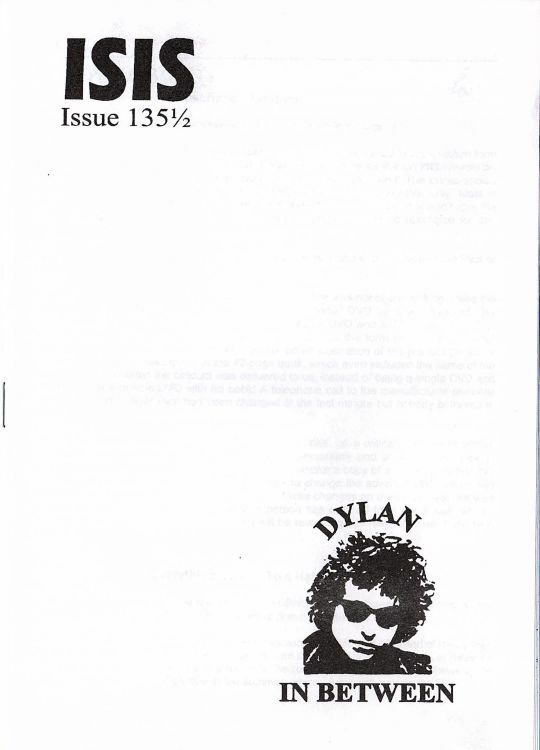 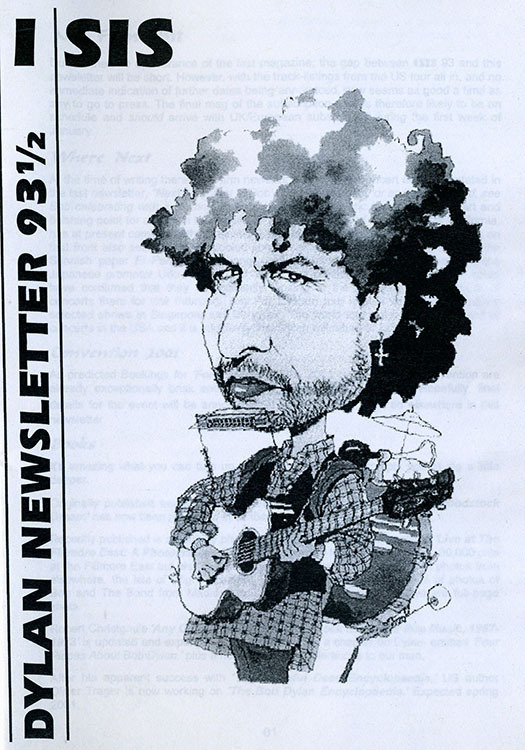 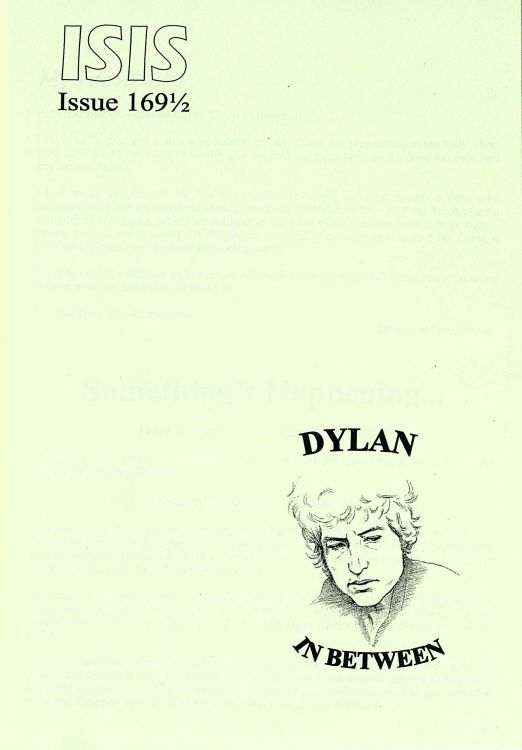 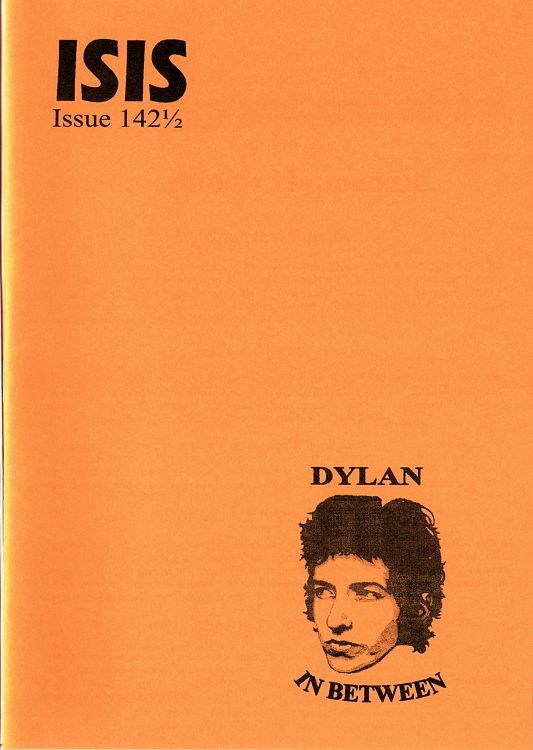 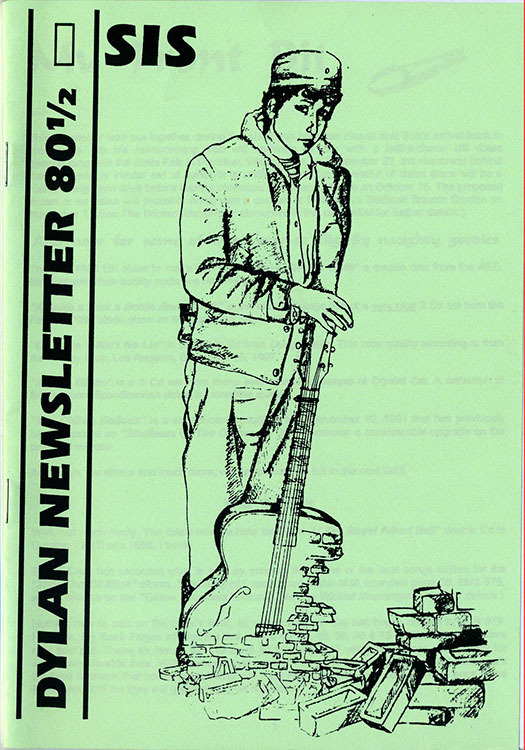 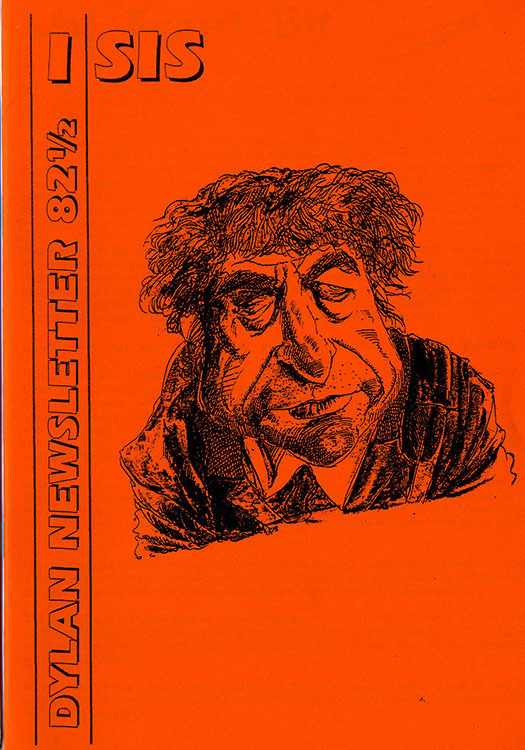 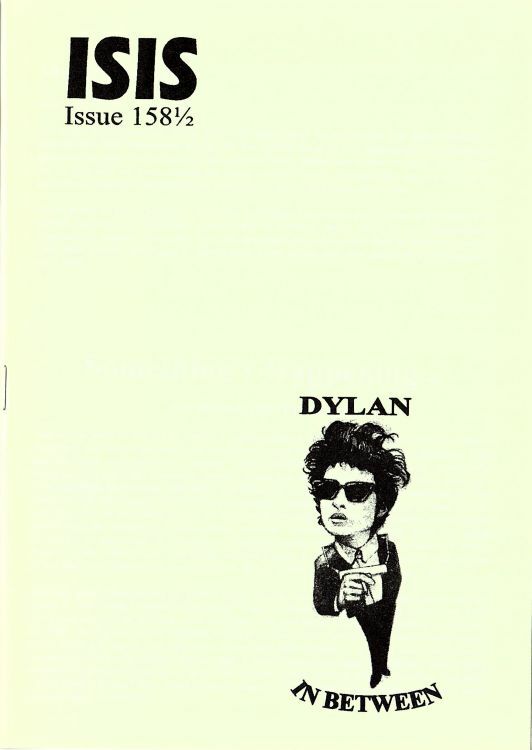 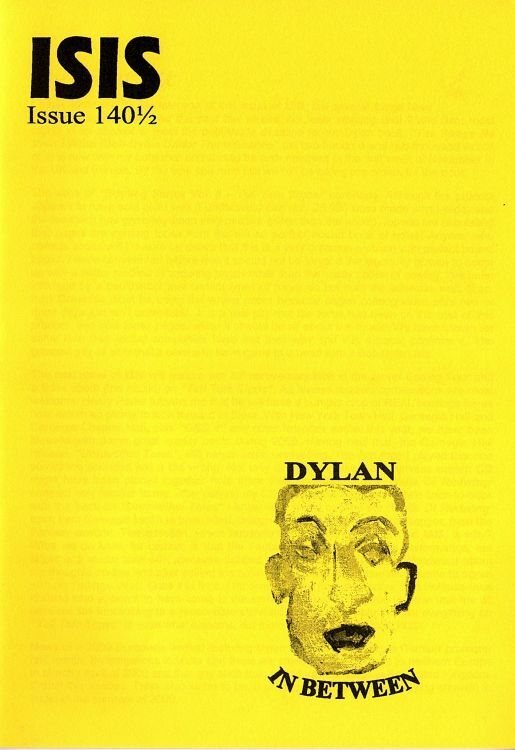 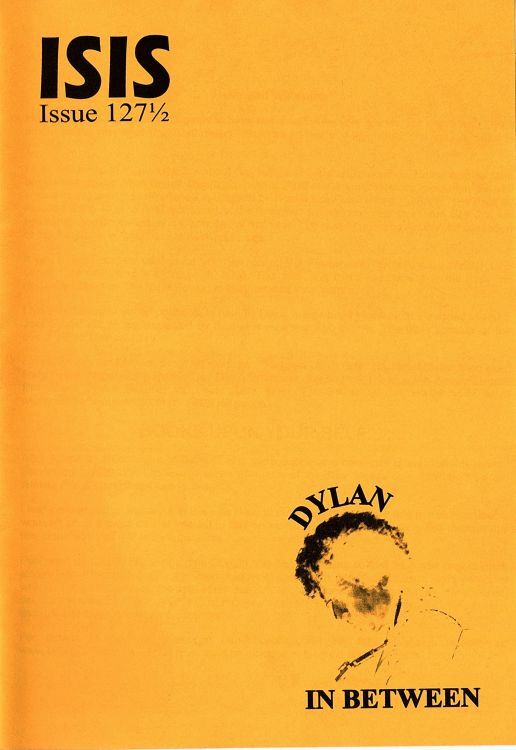 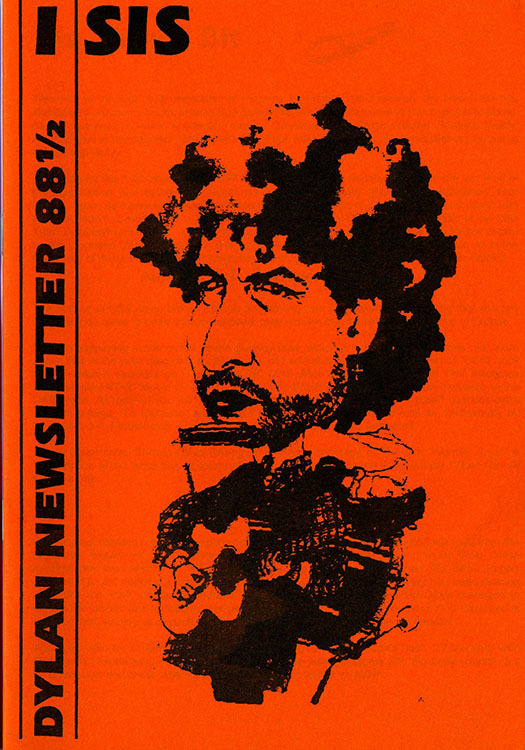 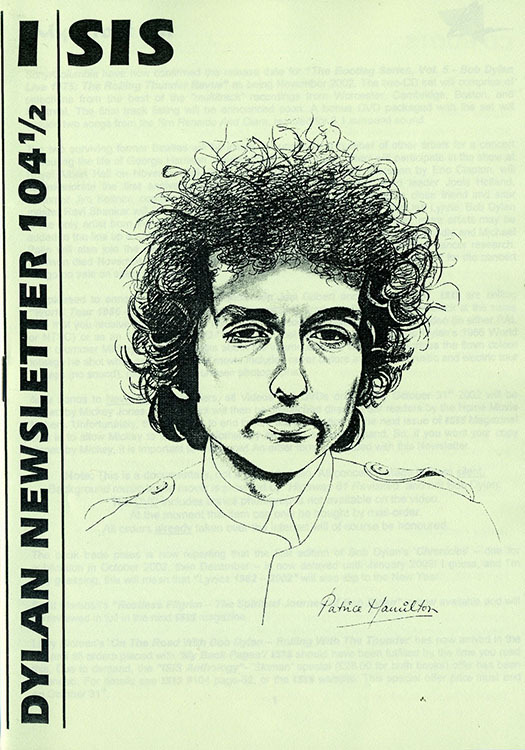 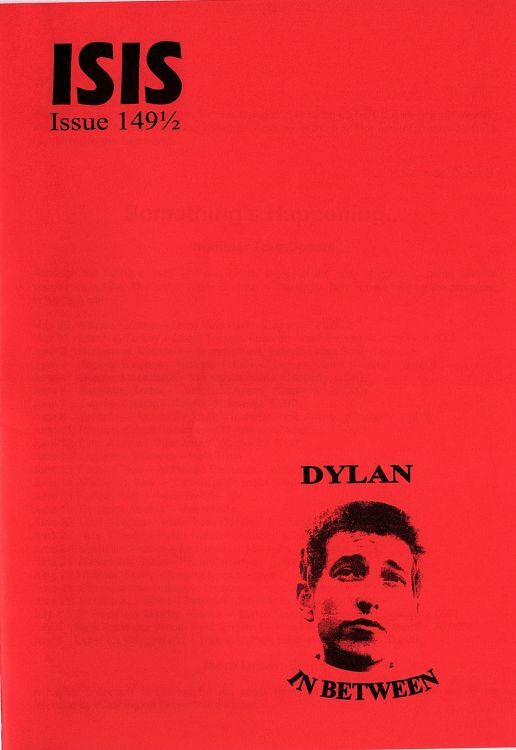 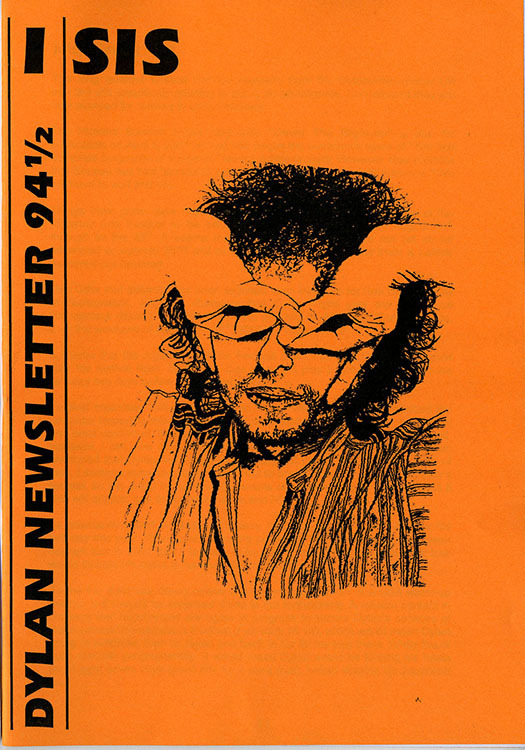 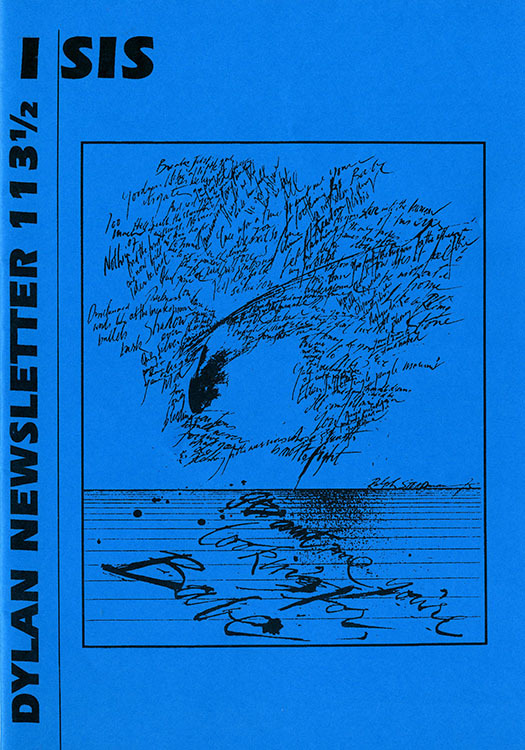 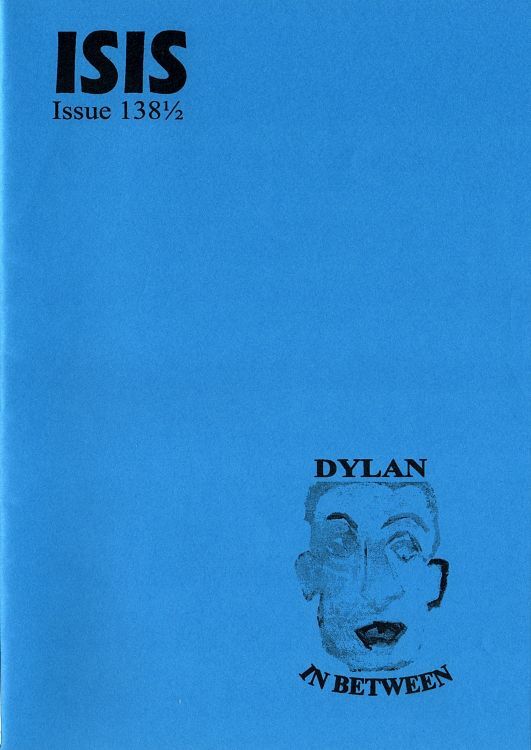 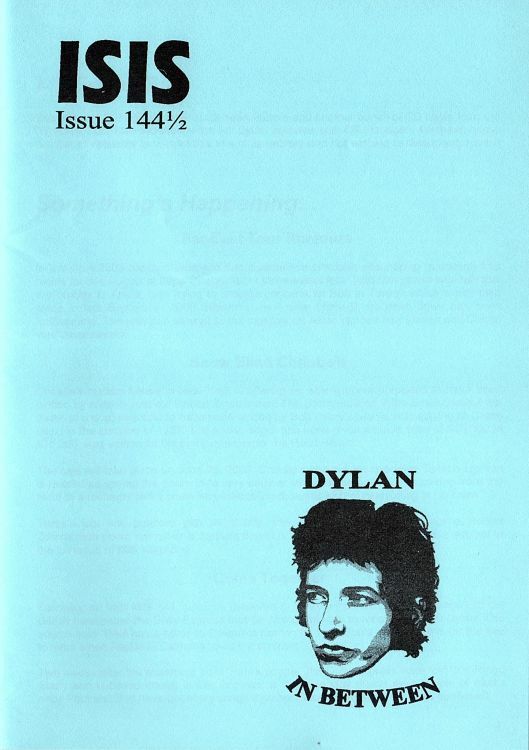 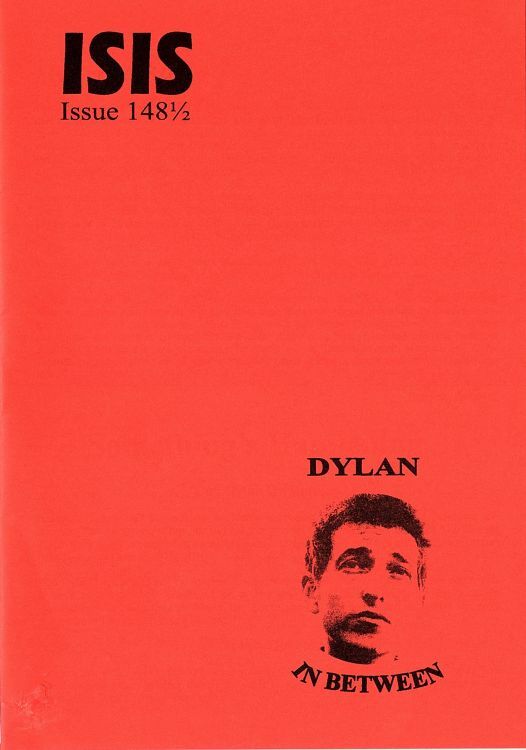 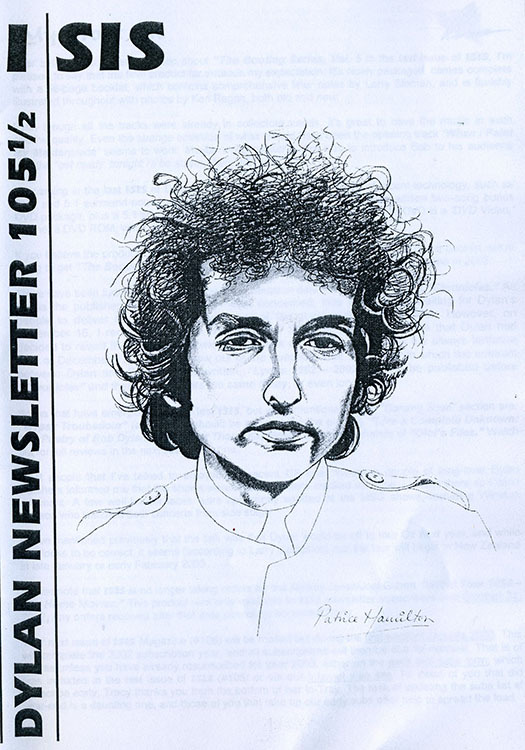 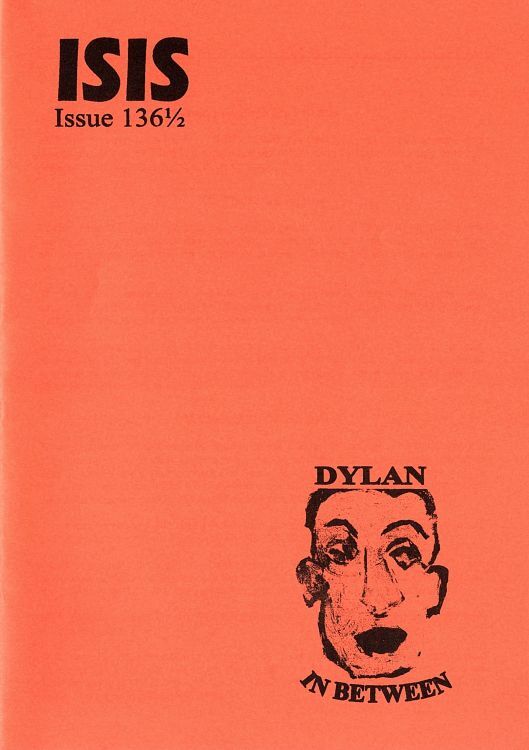 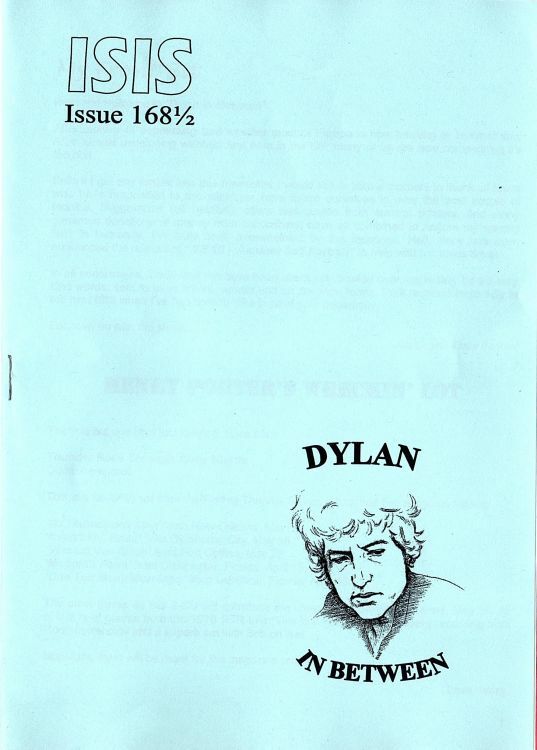 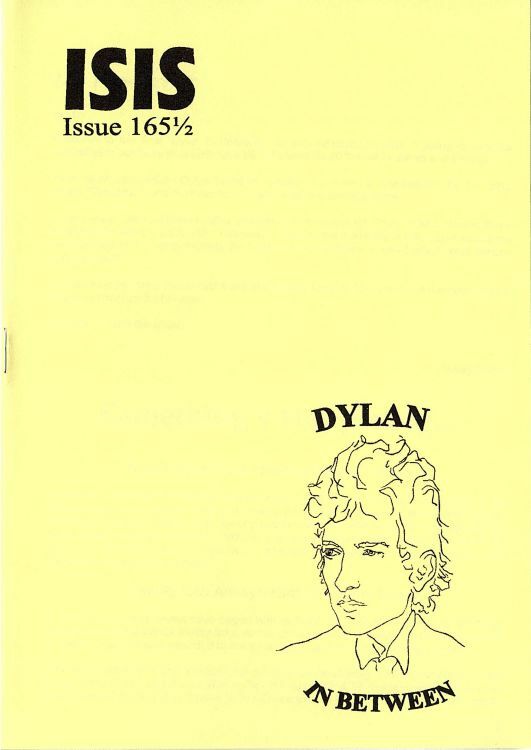 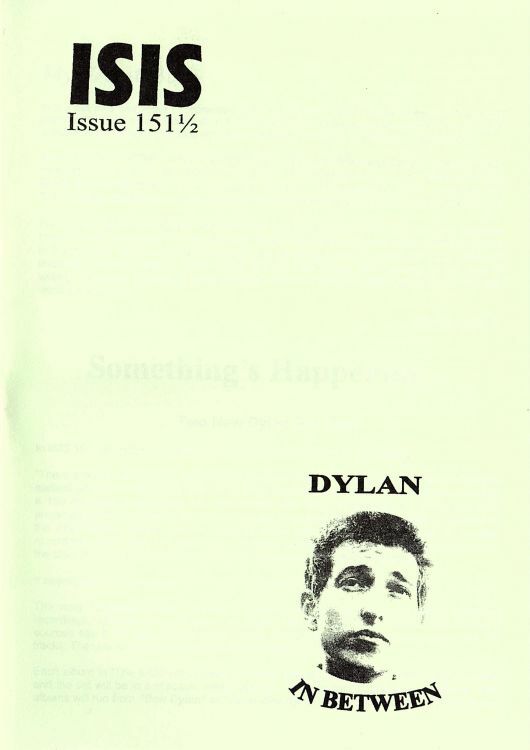 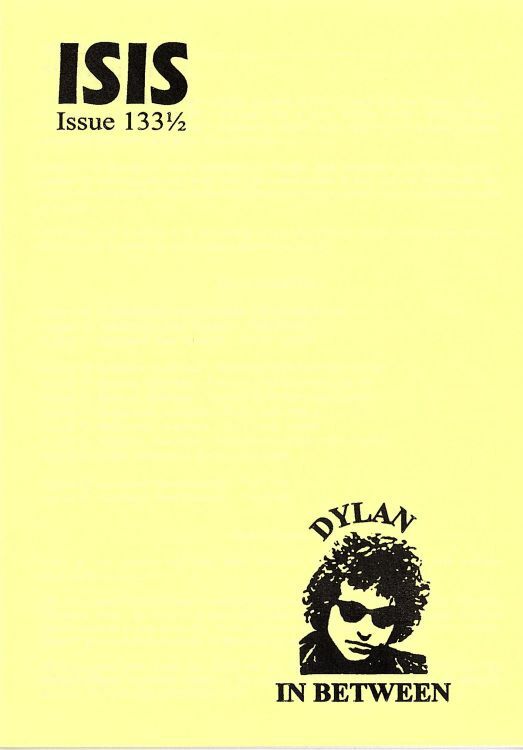 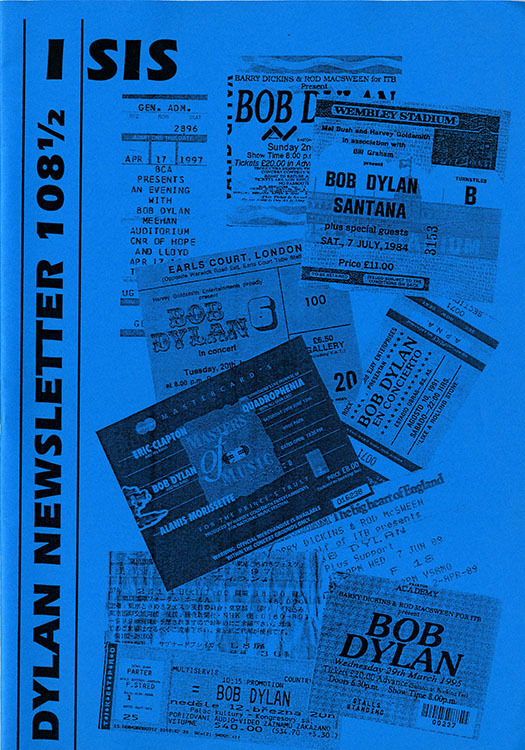 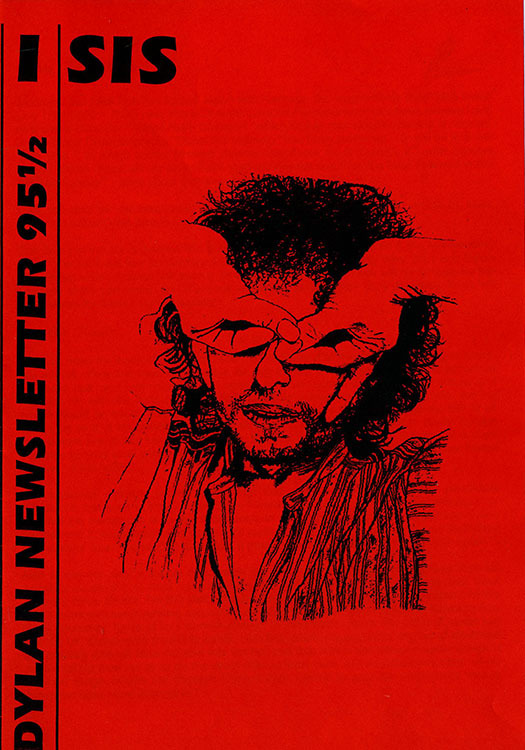 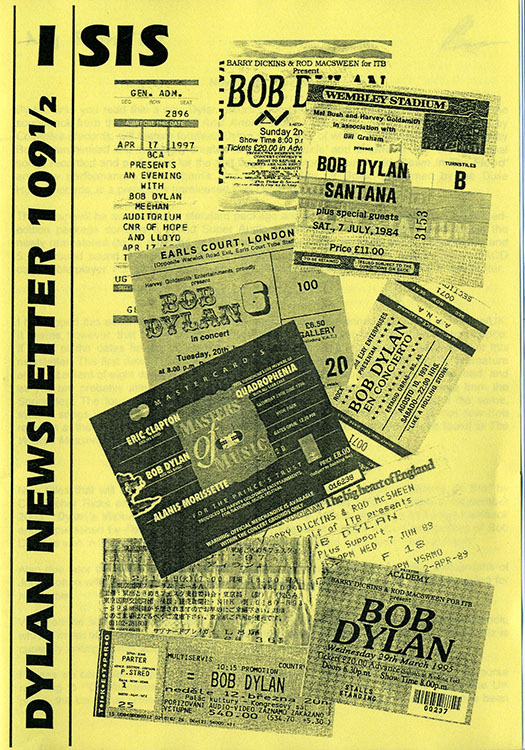 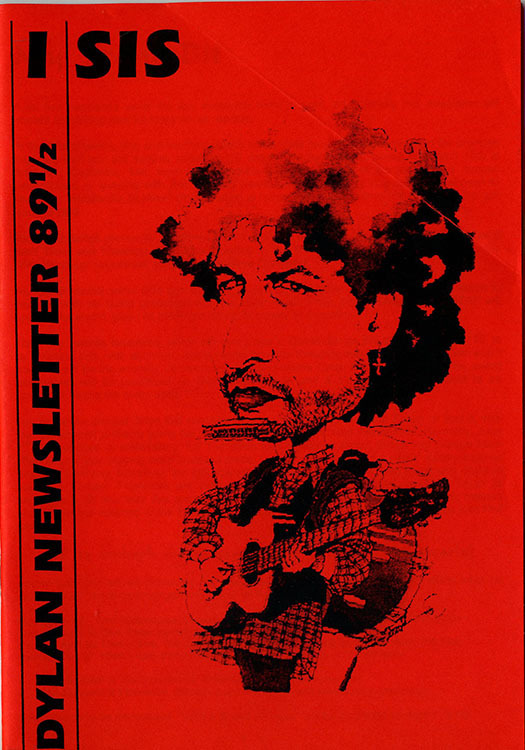 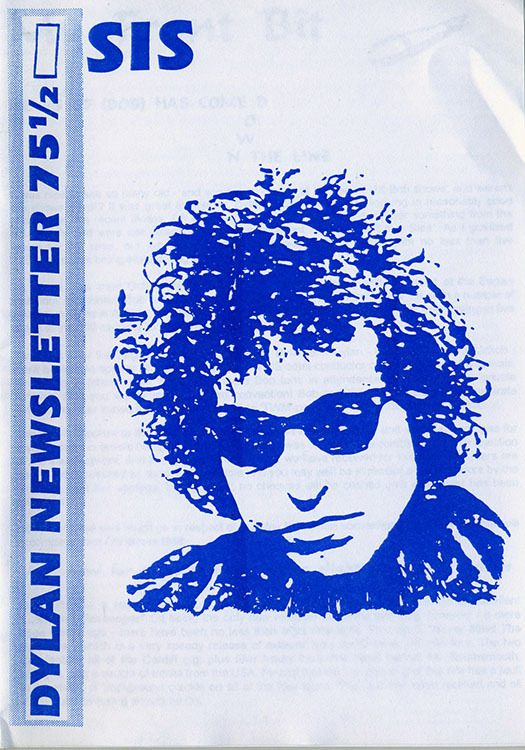 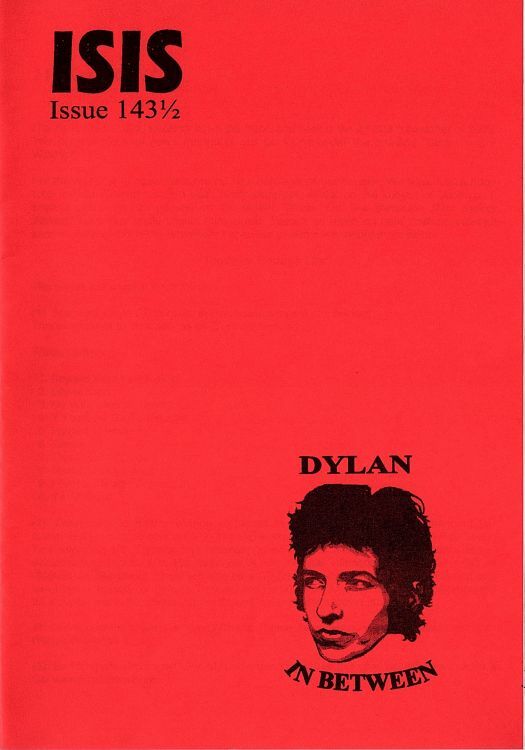 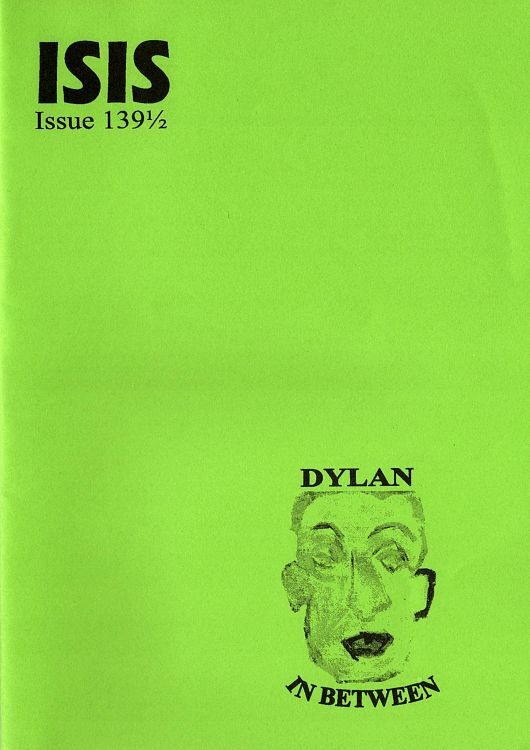 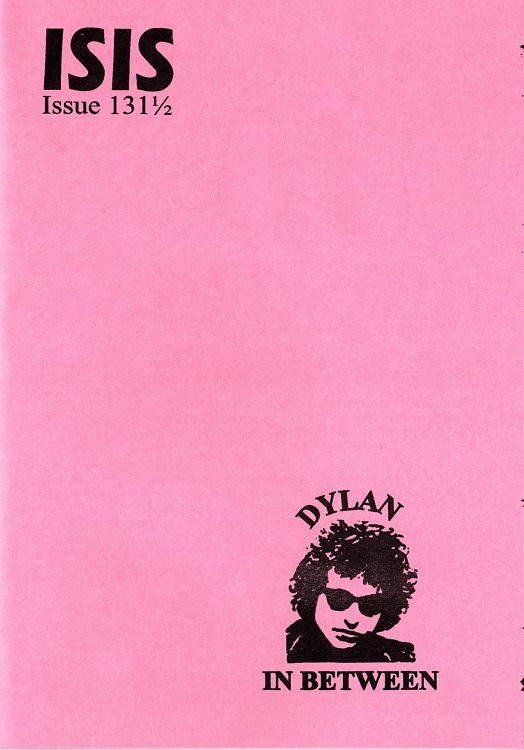 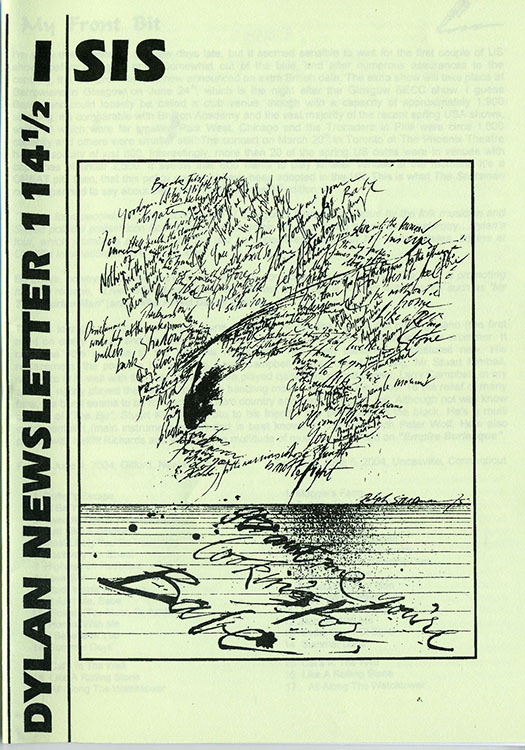 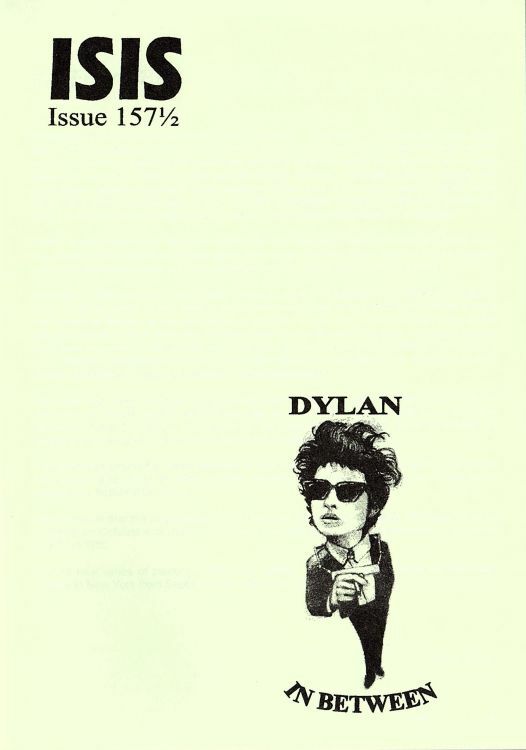 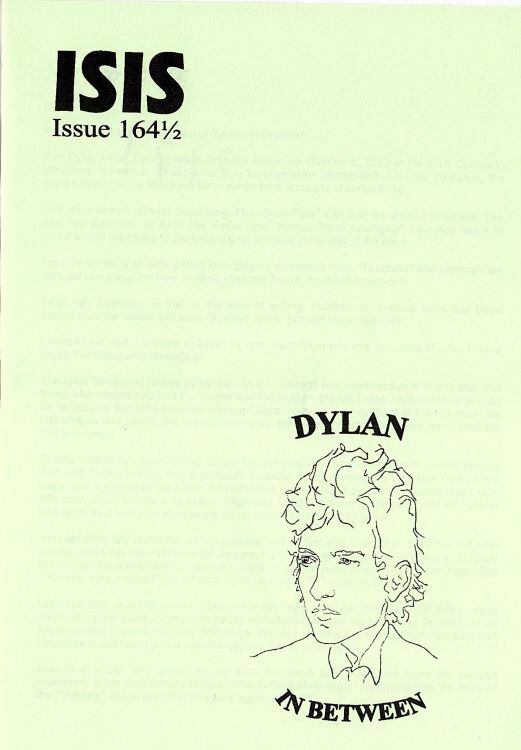 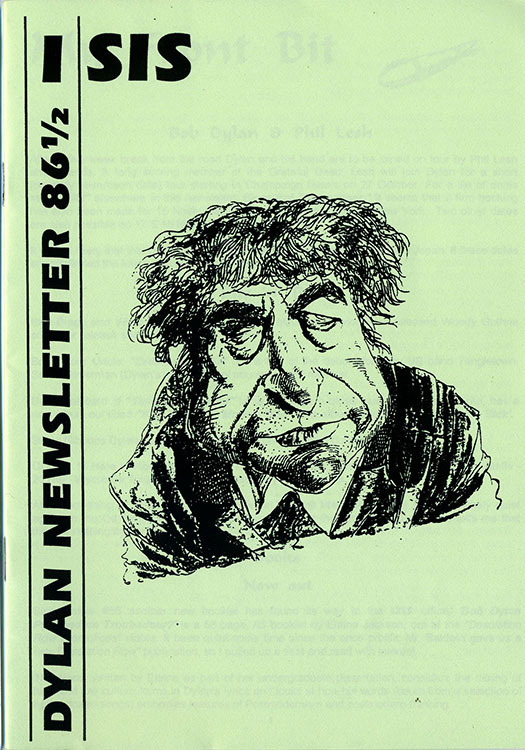 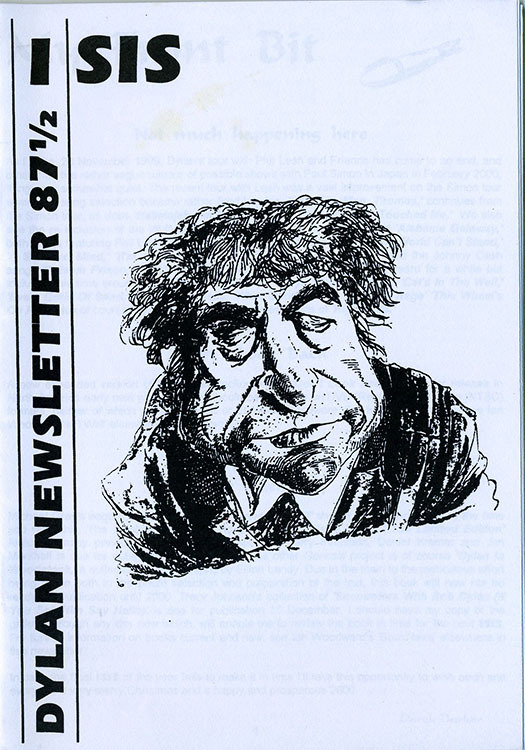 Published by Derek Barker the editor of ISIS, DYLAN NEWSLETTER was sent to subscribers between the parutions of the fanzine, to inform them of the Dylan actuality: please remember that this was before the Internet, when fanzines were the only source of information for avid fans. 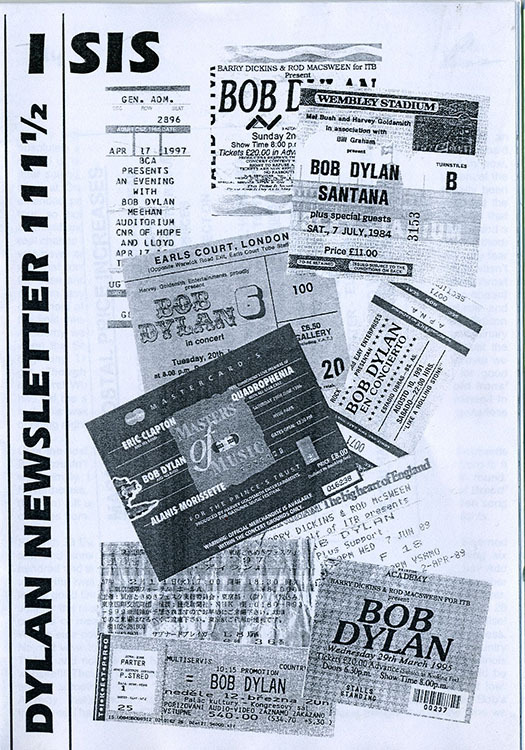 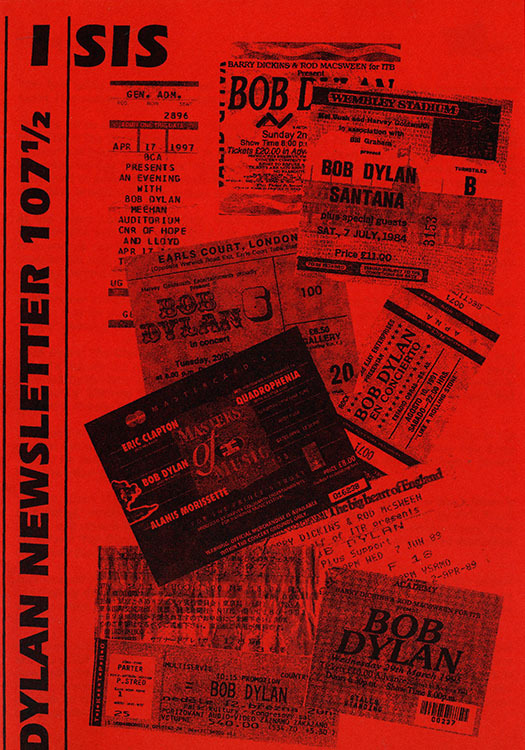 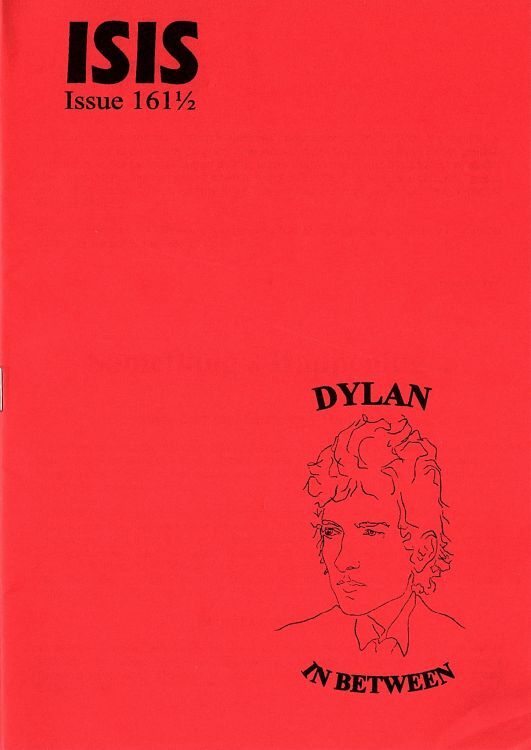 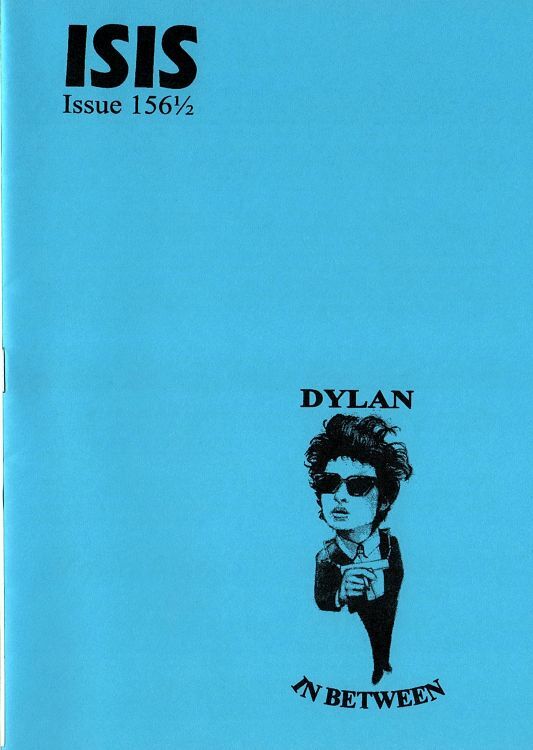 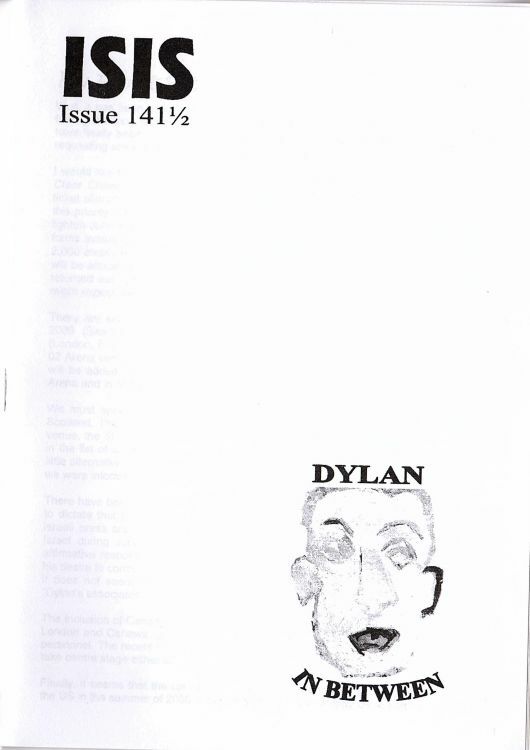 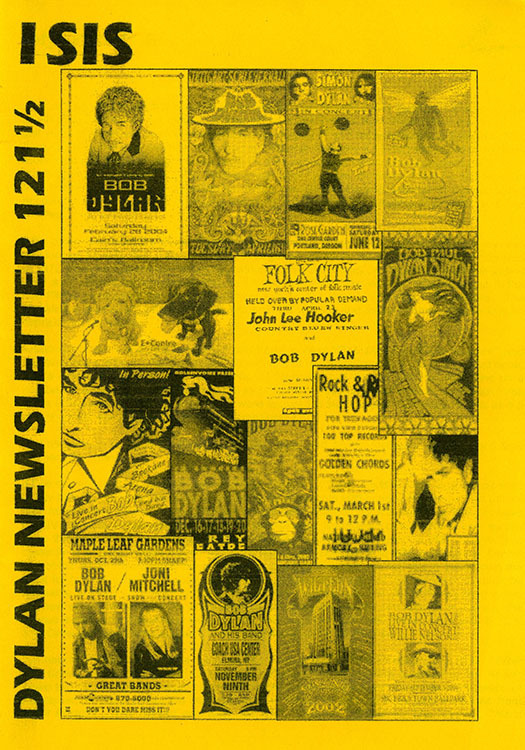 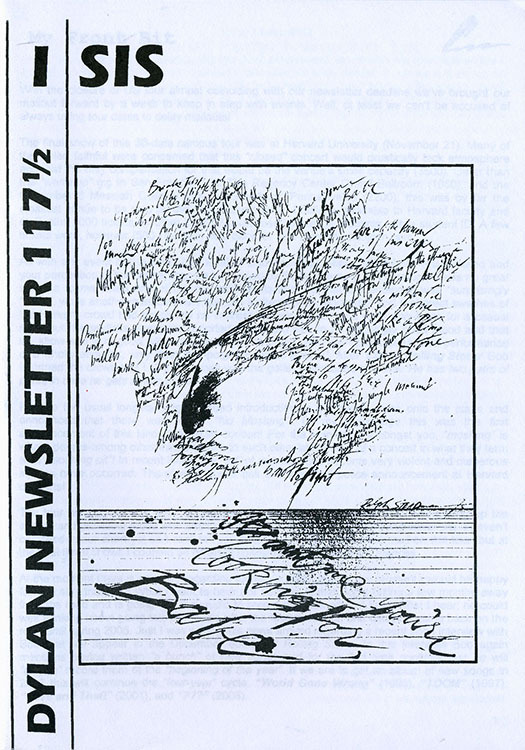 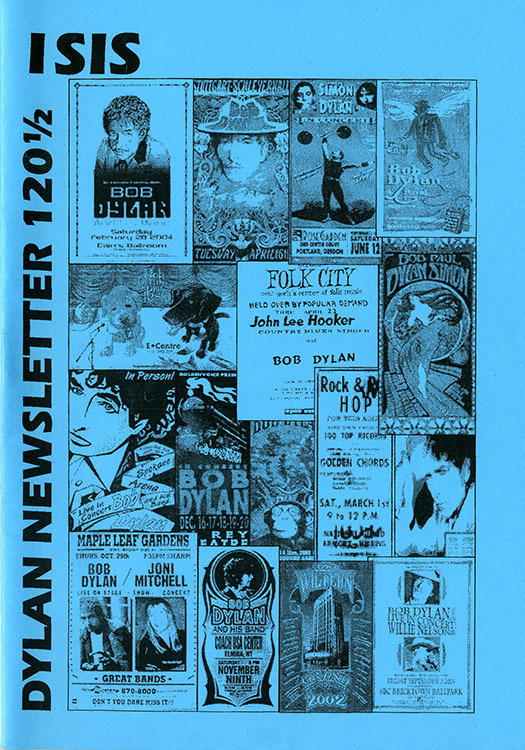 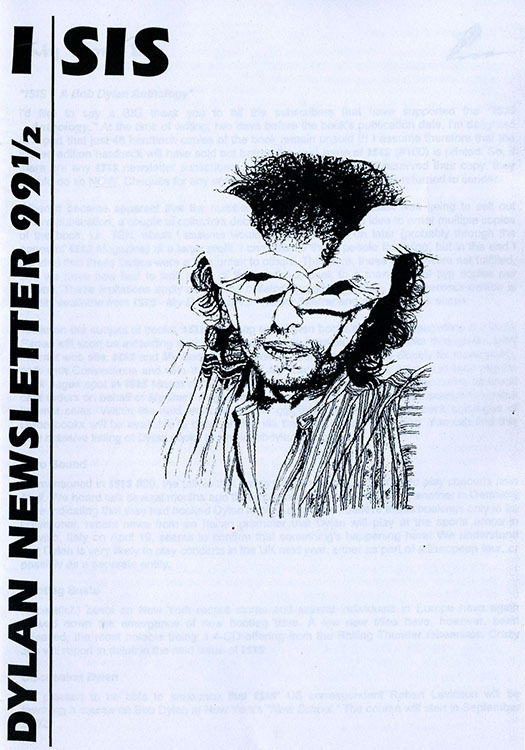 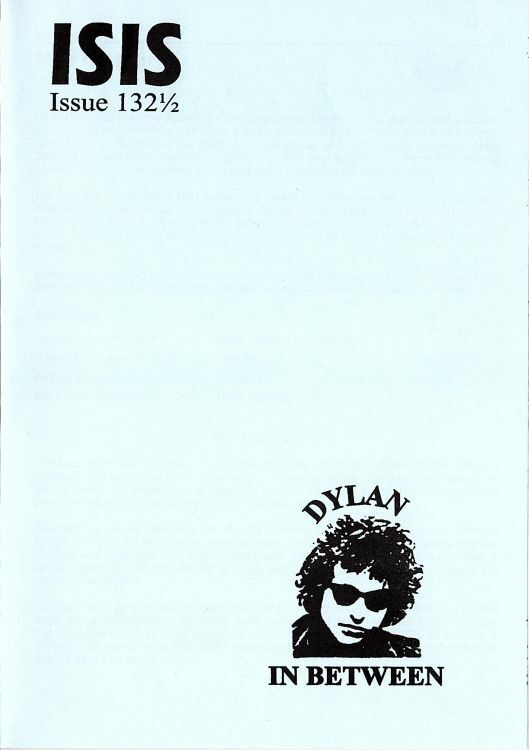 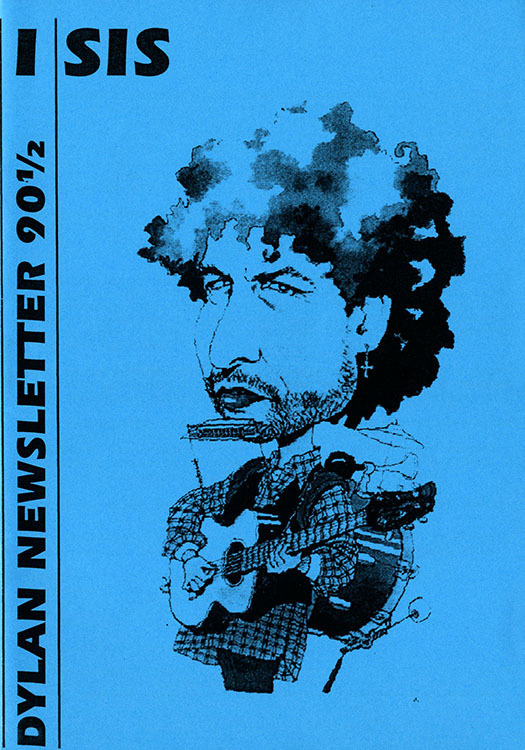 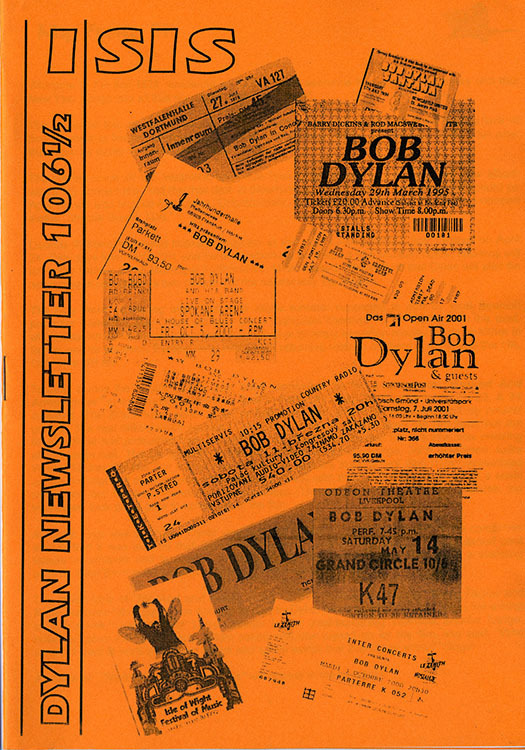 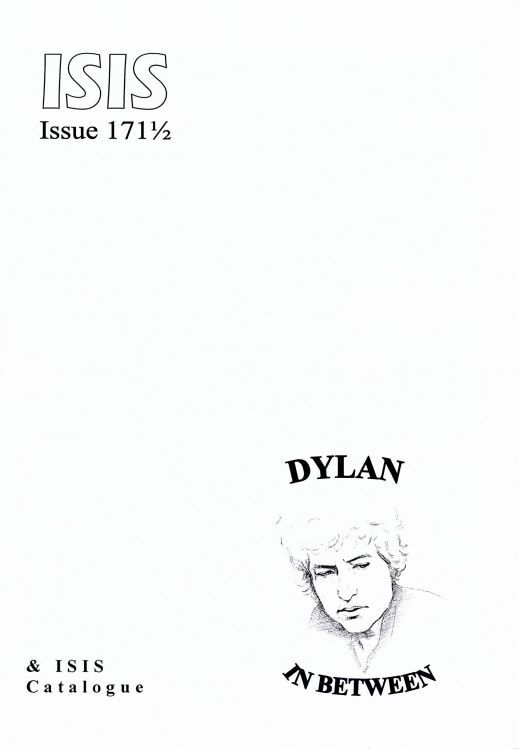 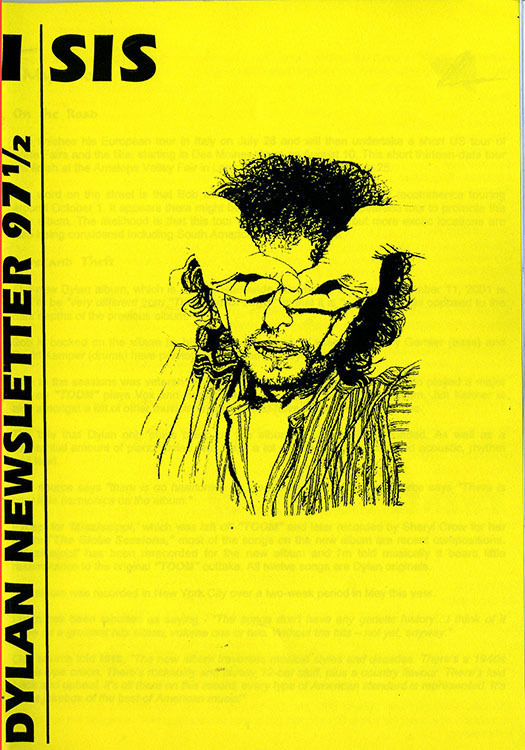 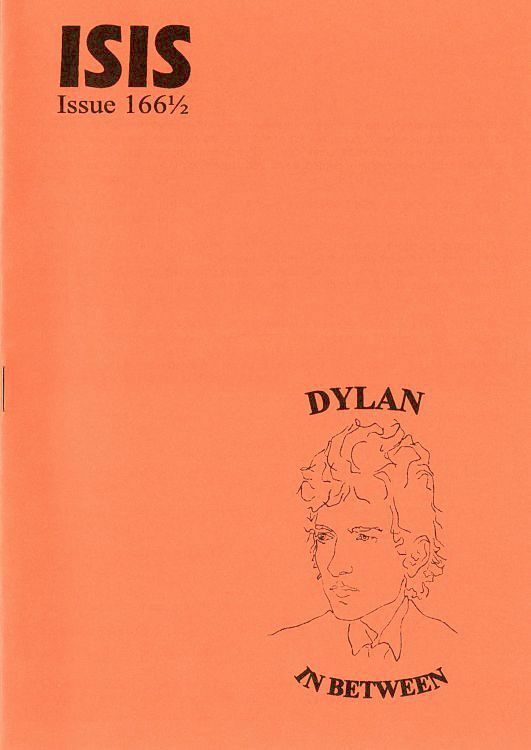 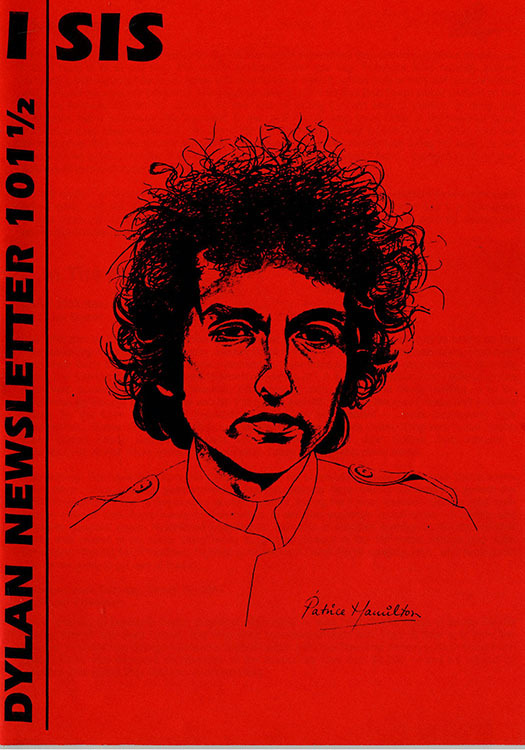 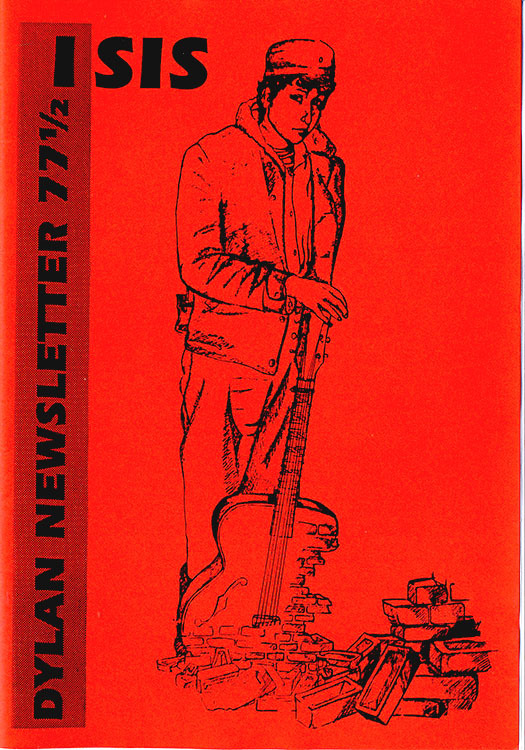 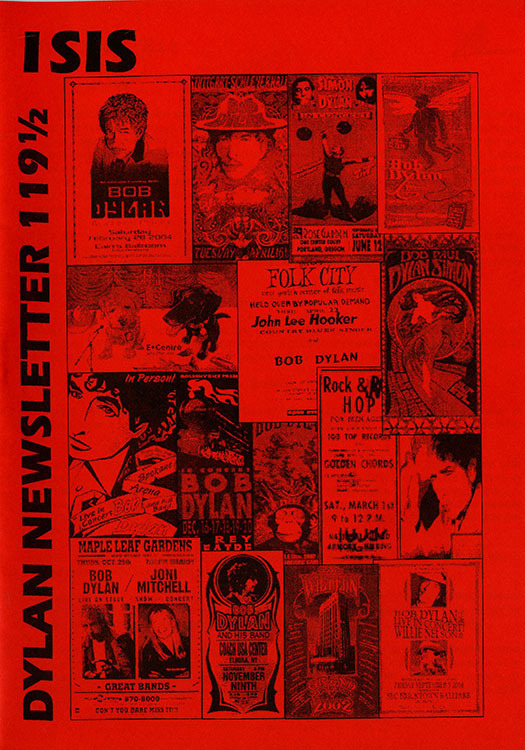 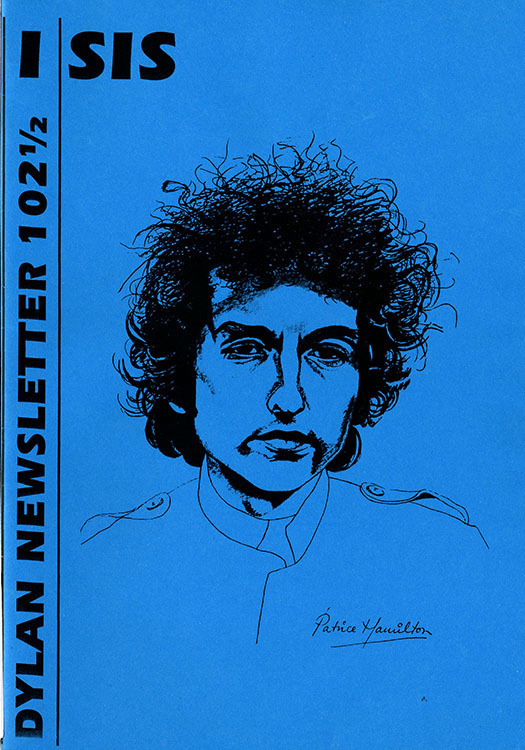 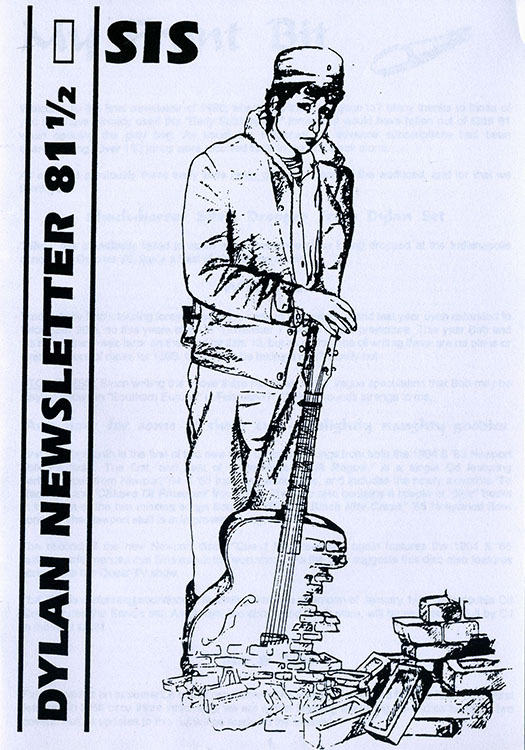 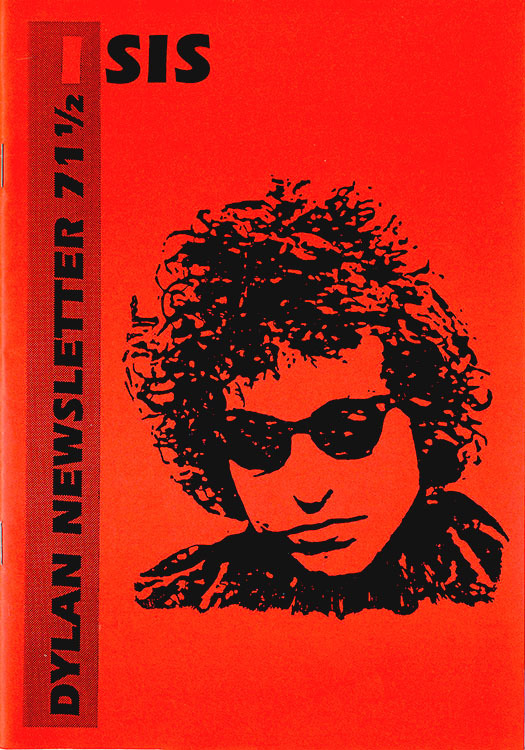 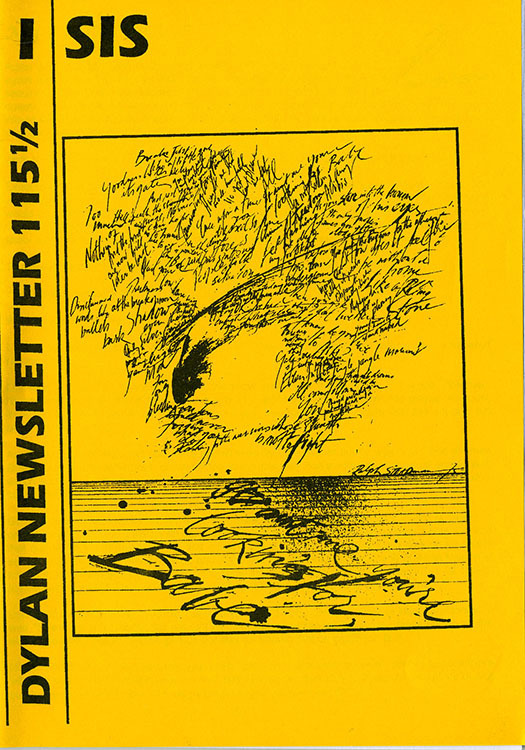 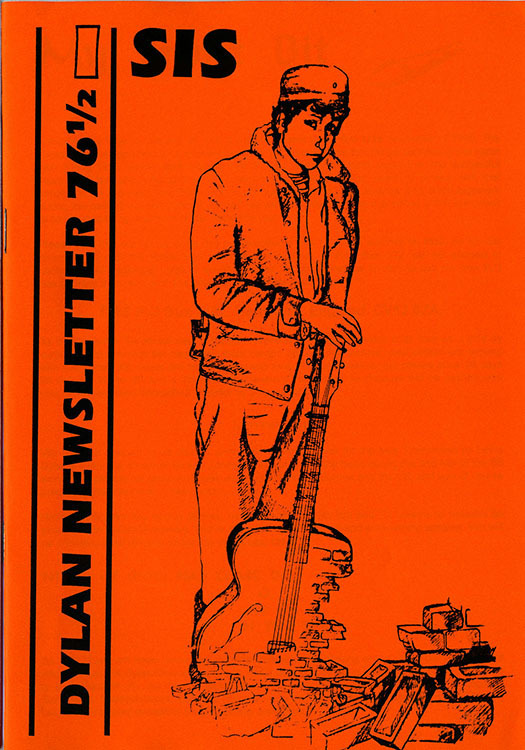 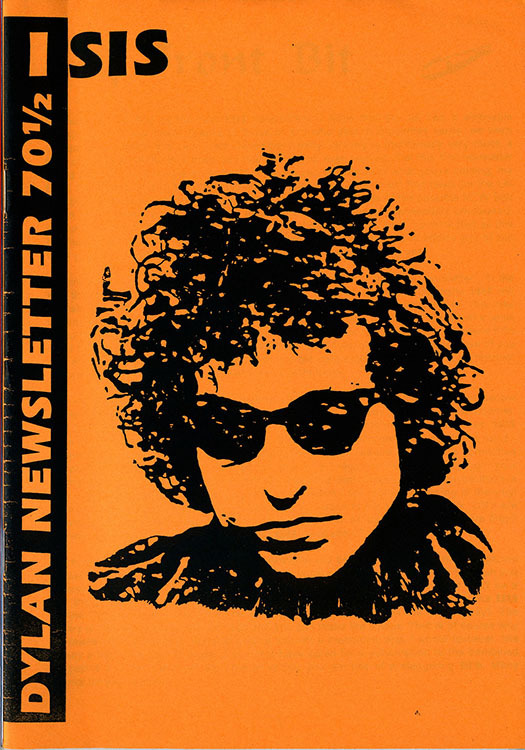 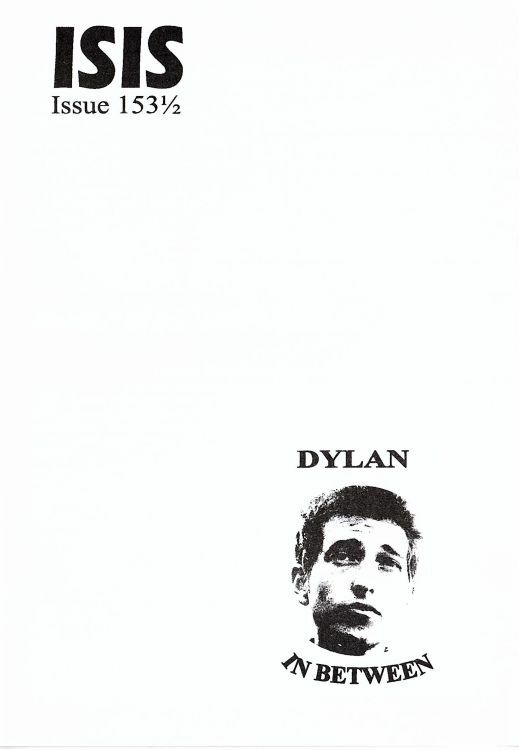 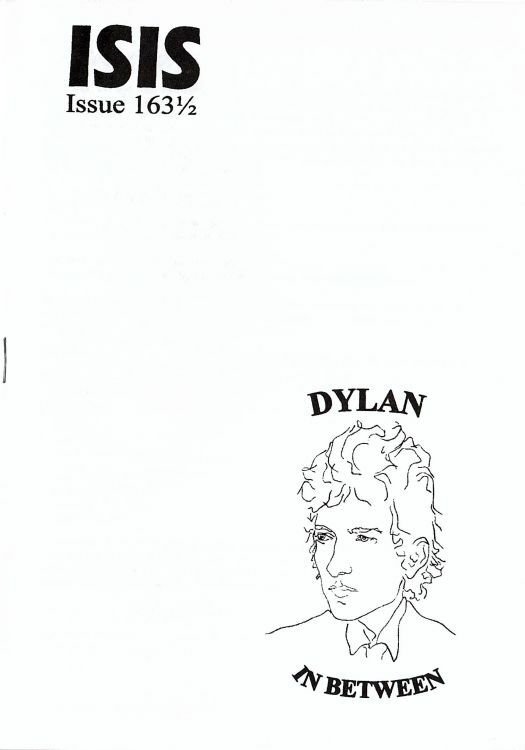 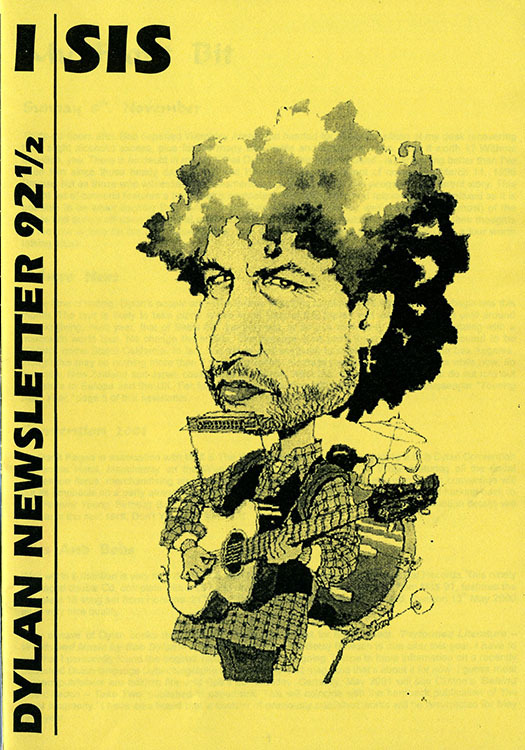 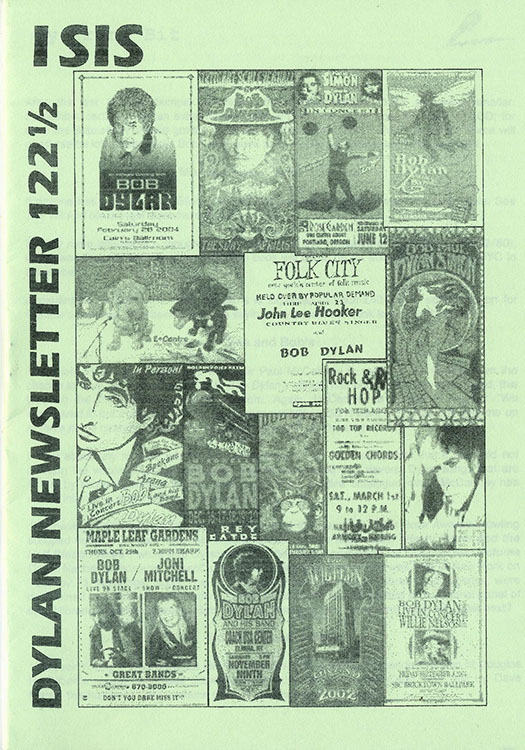 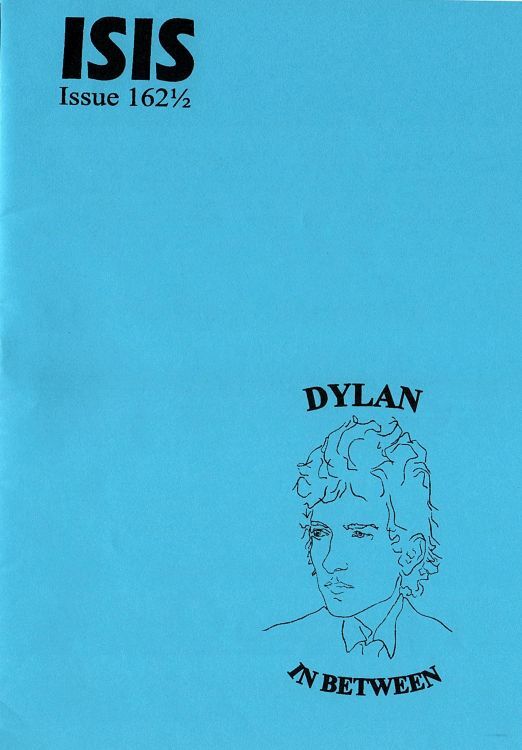 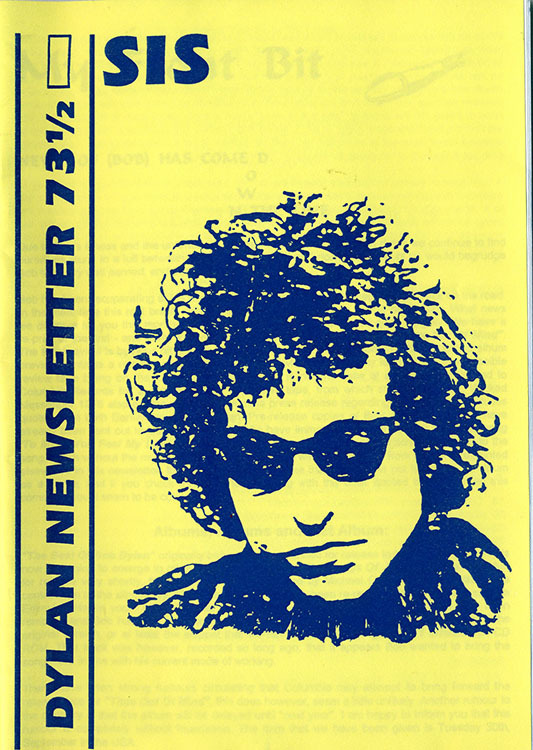 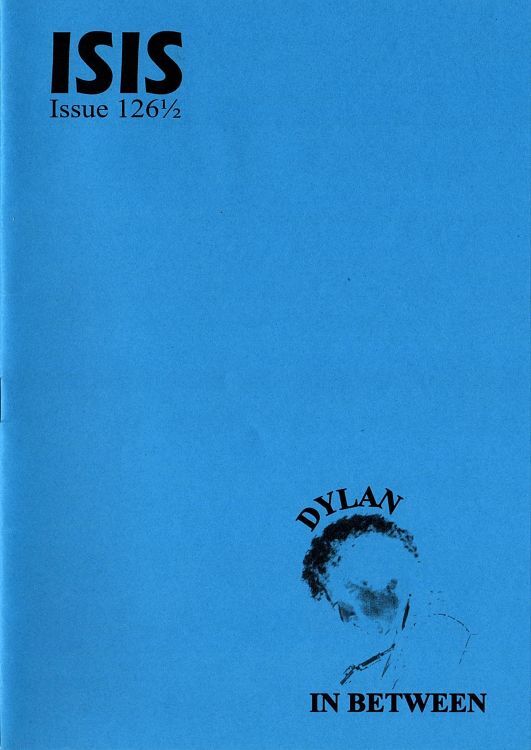 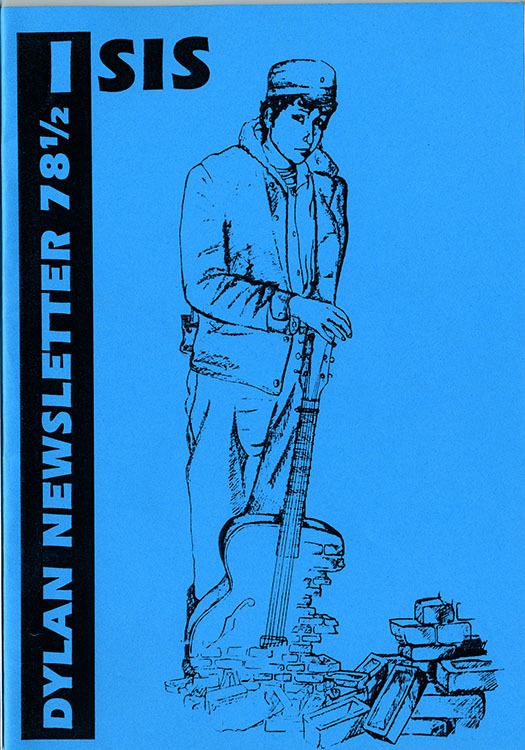 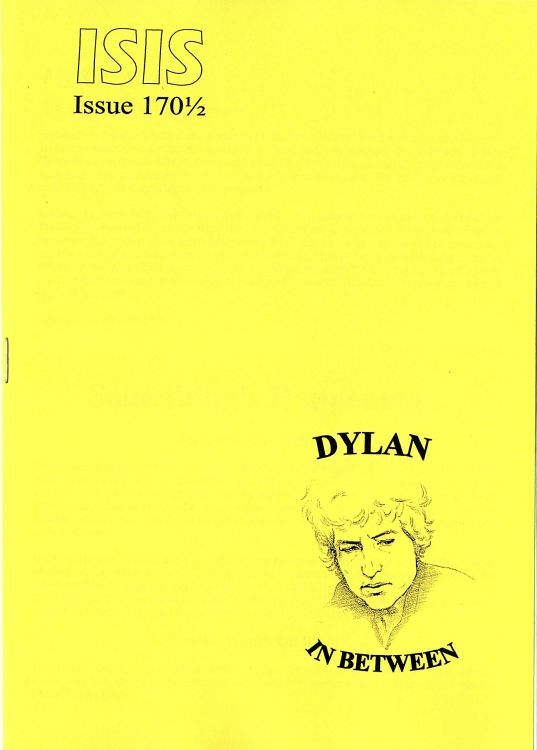 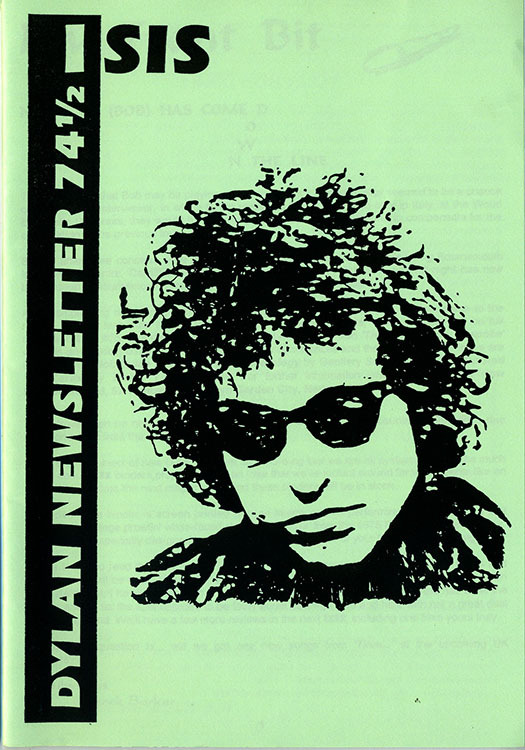 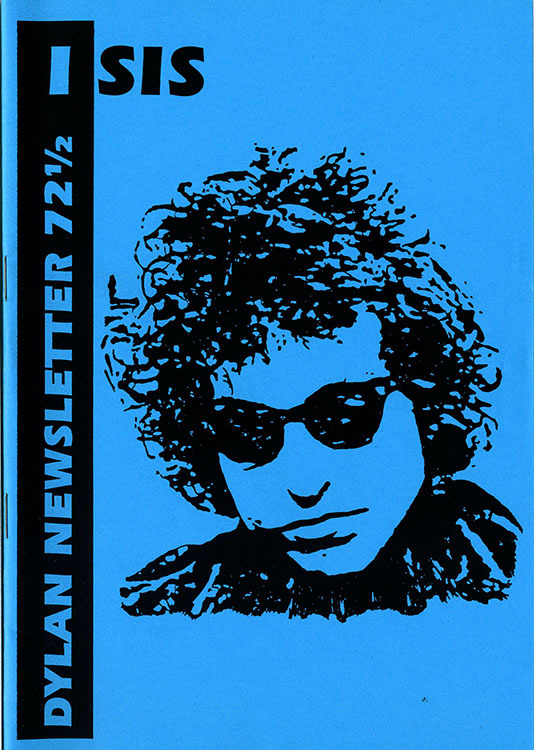 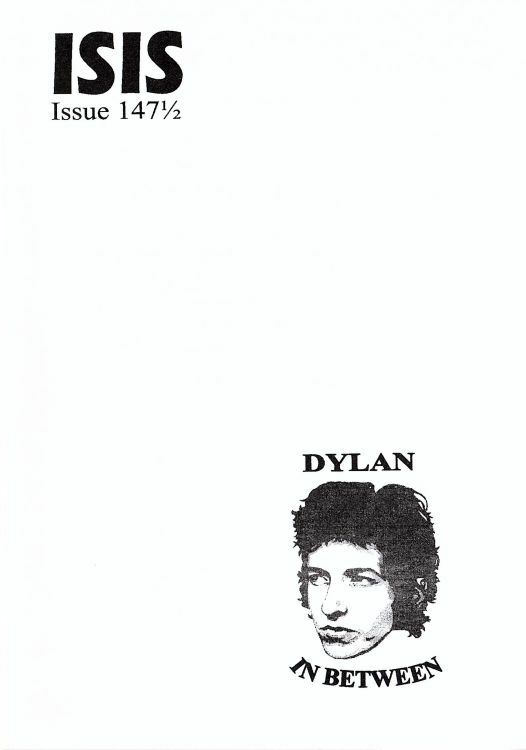 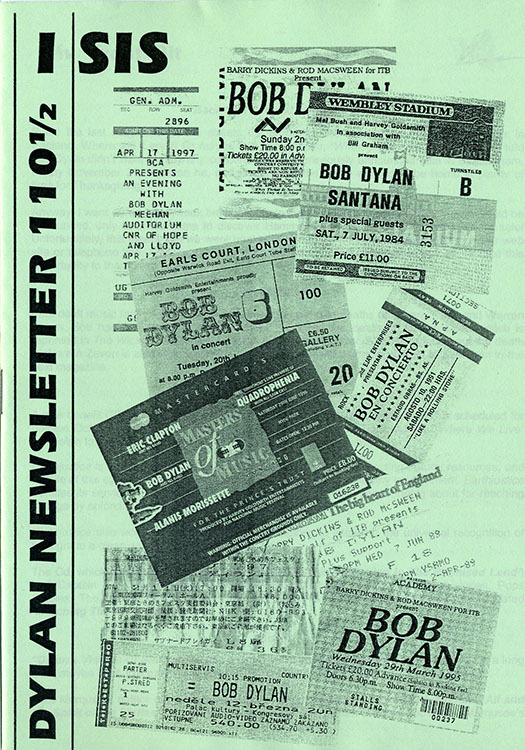 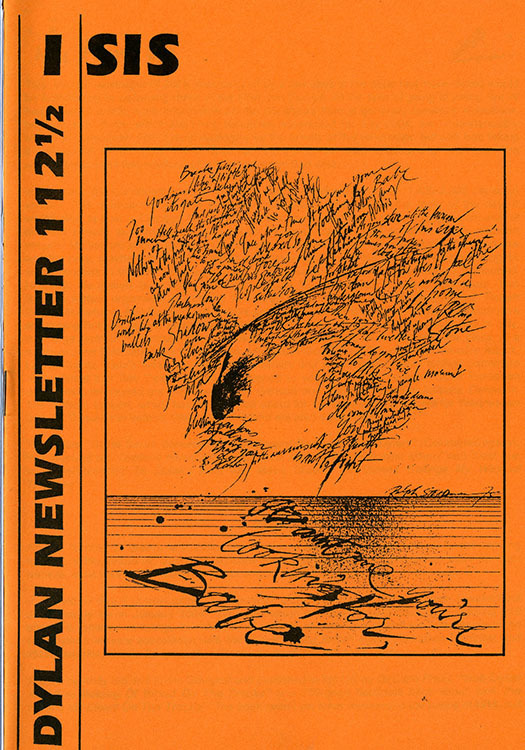 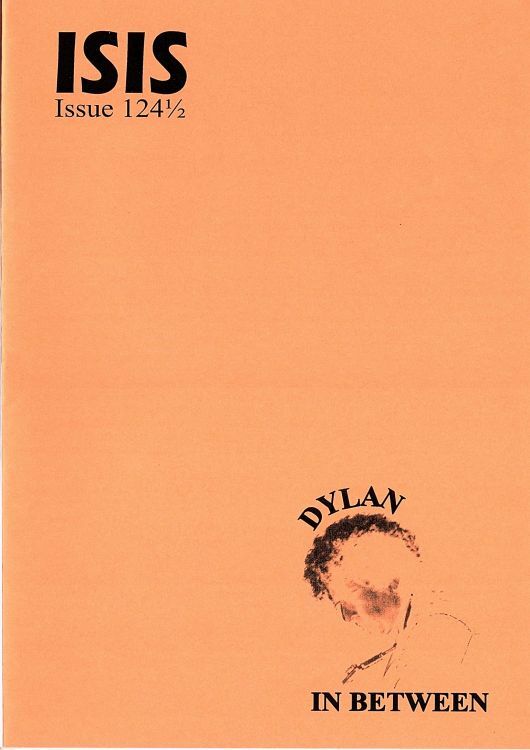 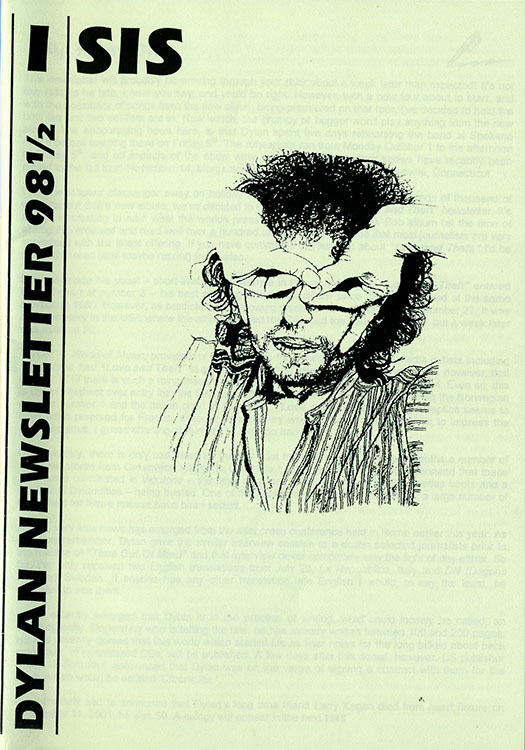 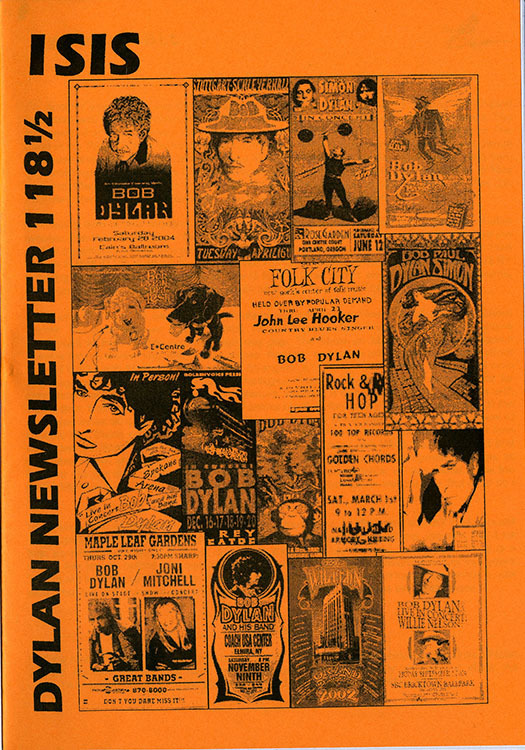 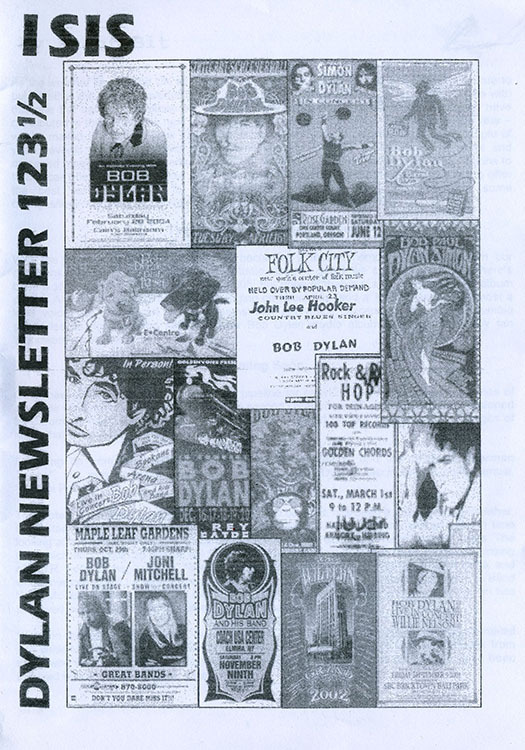 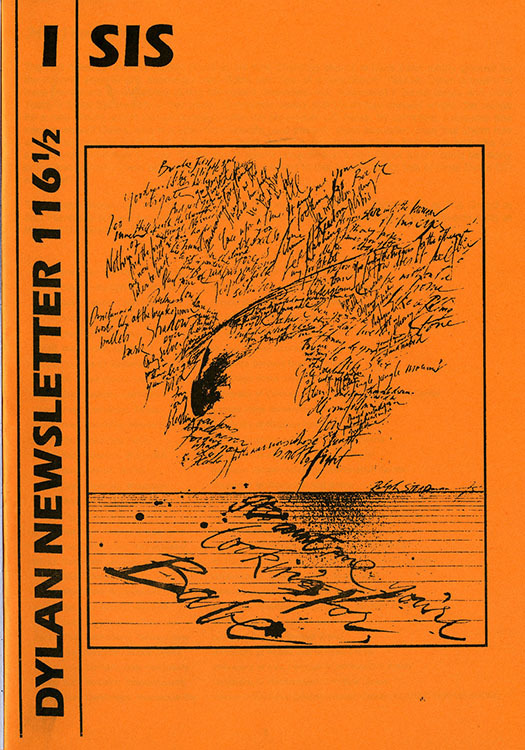 First issue was Dylan Newsletter #70 1/2 (early 1997), the last one was Dylan In Between #171 1/2 (late 2005). 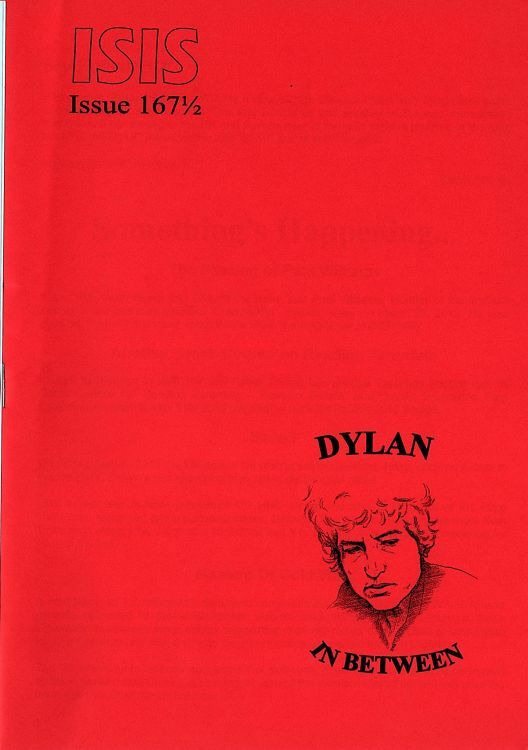 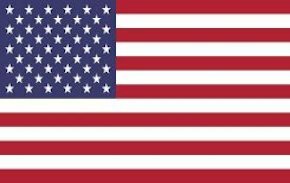 A5 size, 12 to 20 pages. 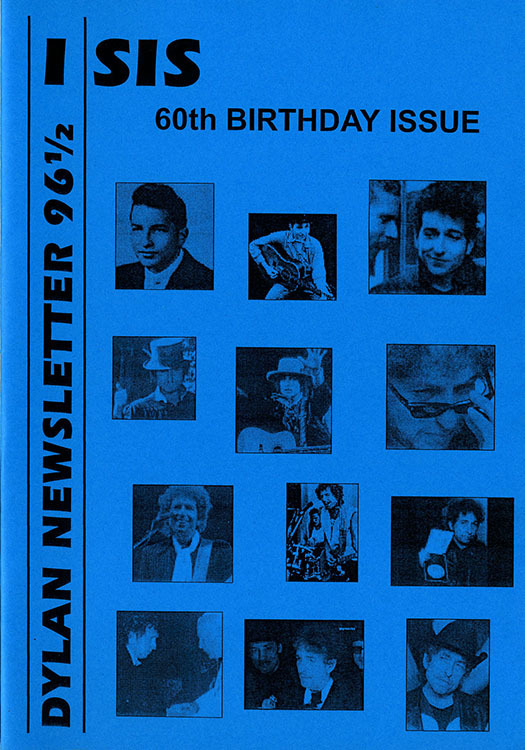 The illustration on the cover changed ever 6 issues, except for #96 1/2 '60th Birthday issue' which had a special cover. 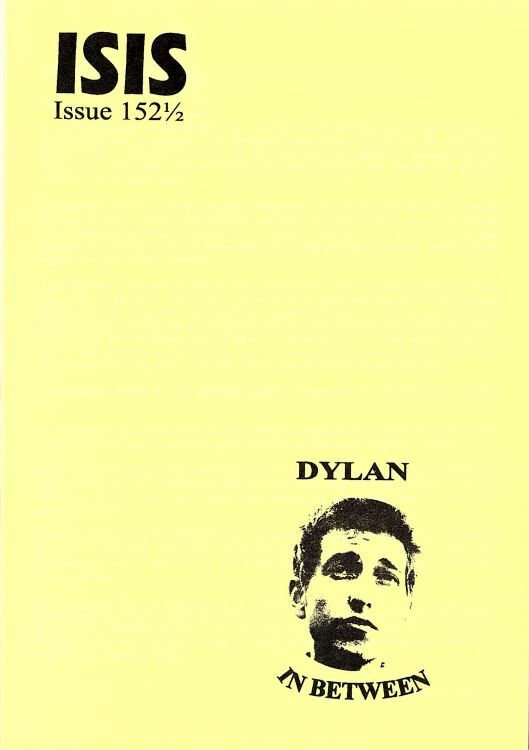 After #123 1/2, the title became DYLAN IN BETWEEN.